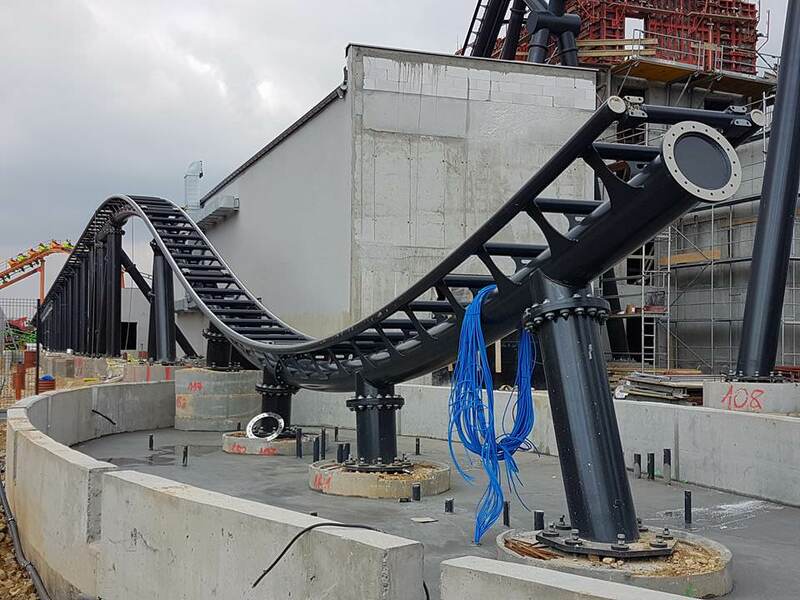 It seems to have one large cutback element! 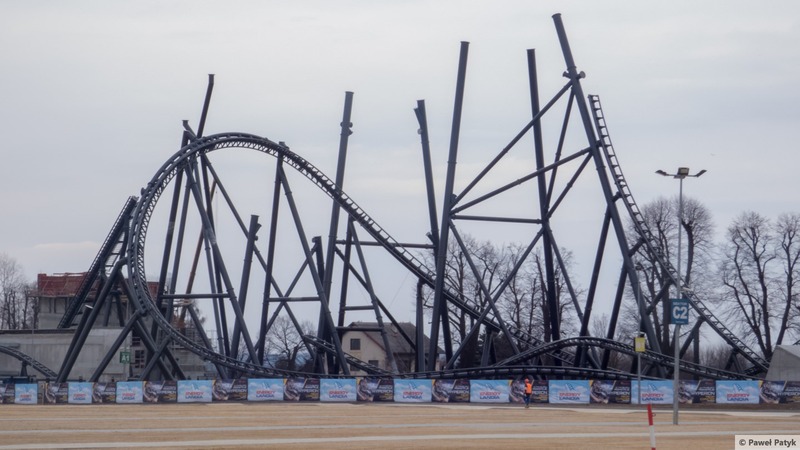 That banked turn is almost the inversion type! 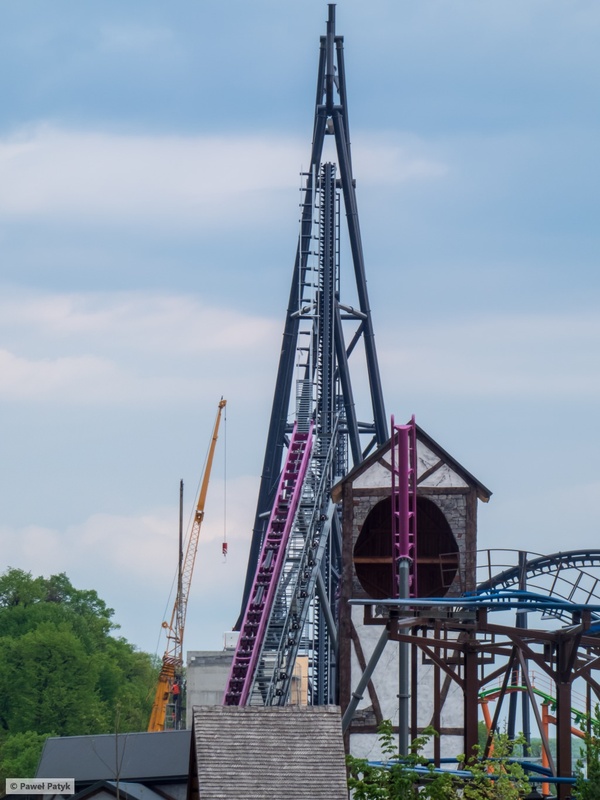 Here's a render of what the first drop will look like. 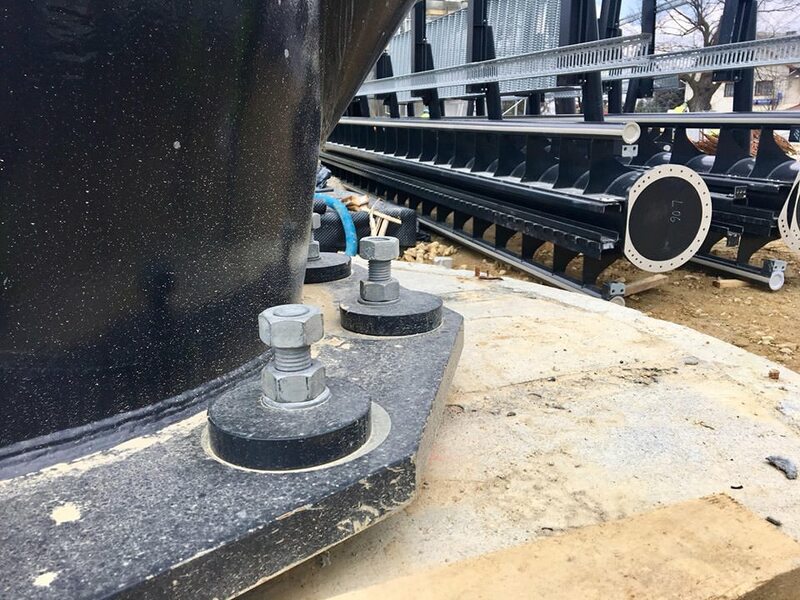 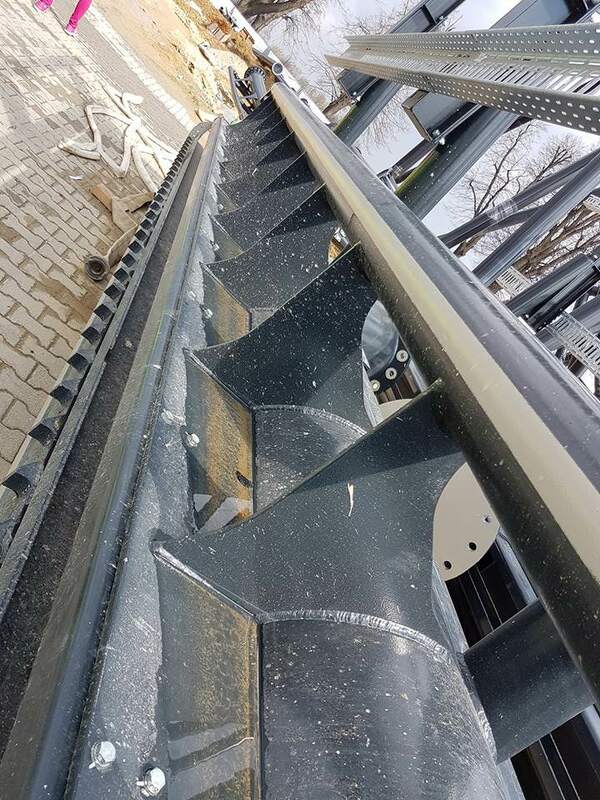 That's a big sprocket for a big chainlift! 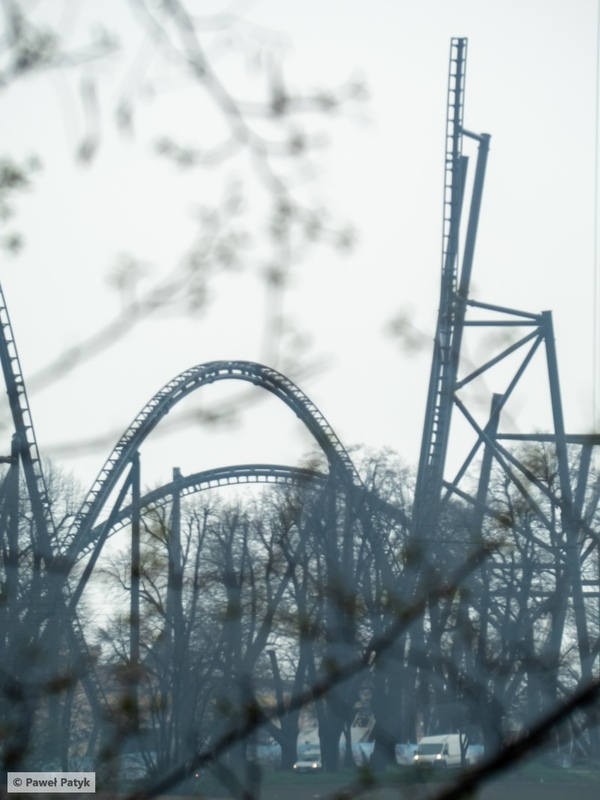 What an amazing hill. 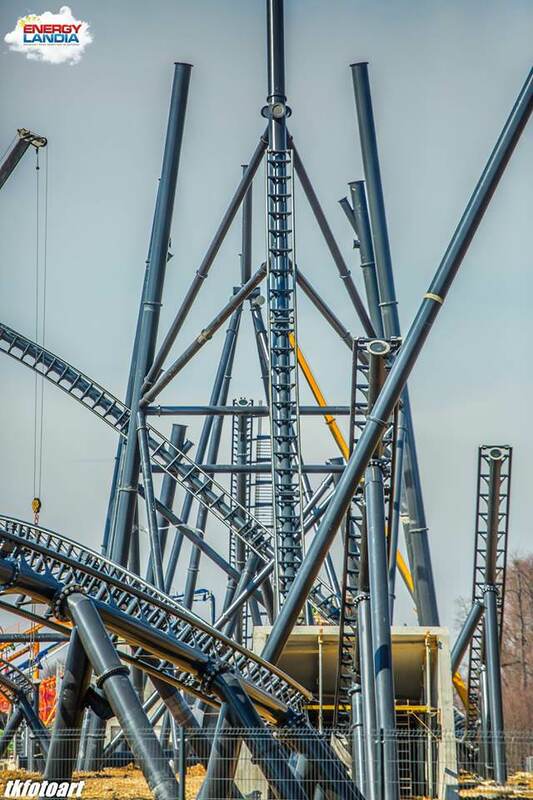 This ride is simply incredible. 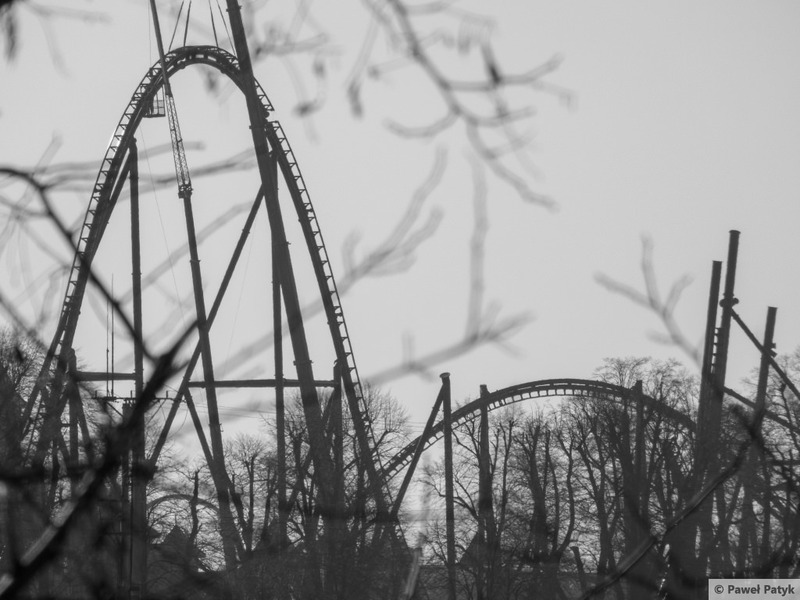 Some really nice shots from this ride. 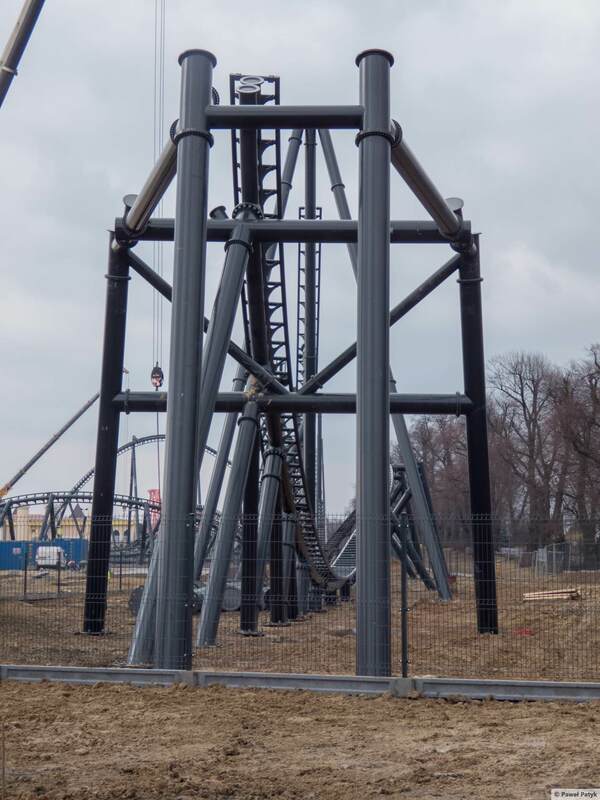 Definitely going to be interesting. 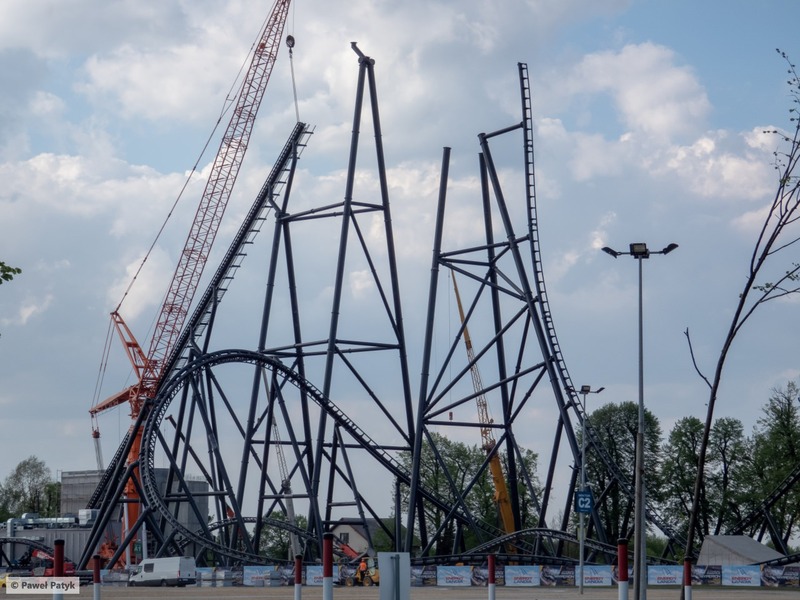 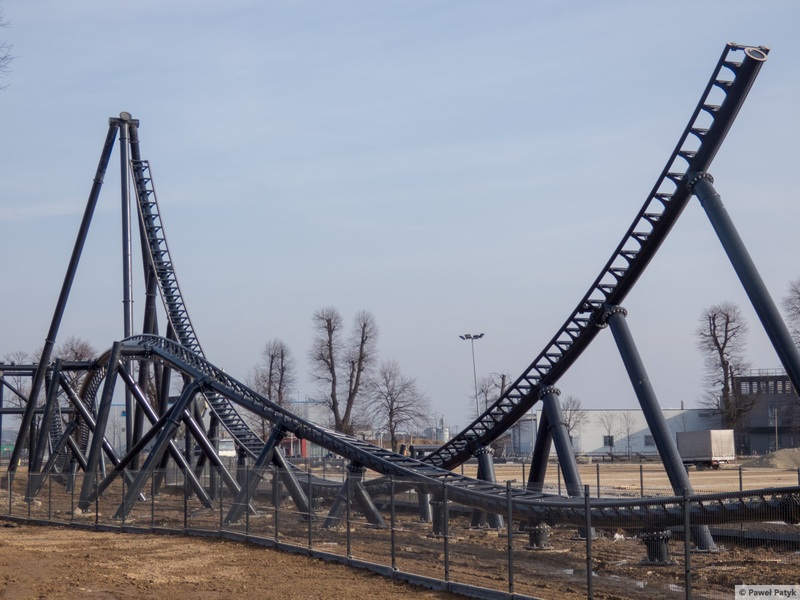 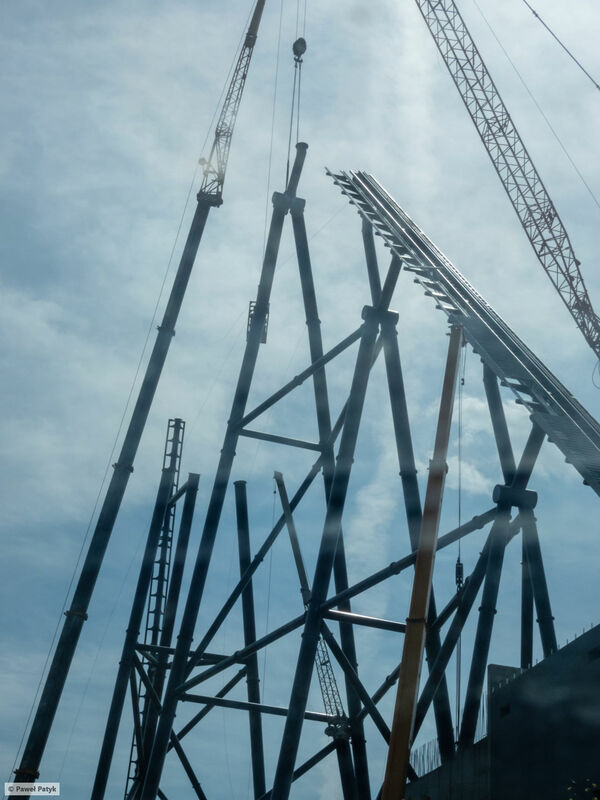 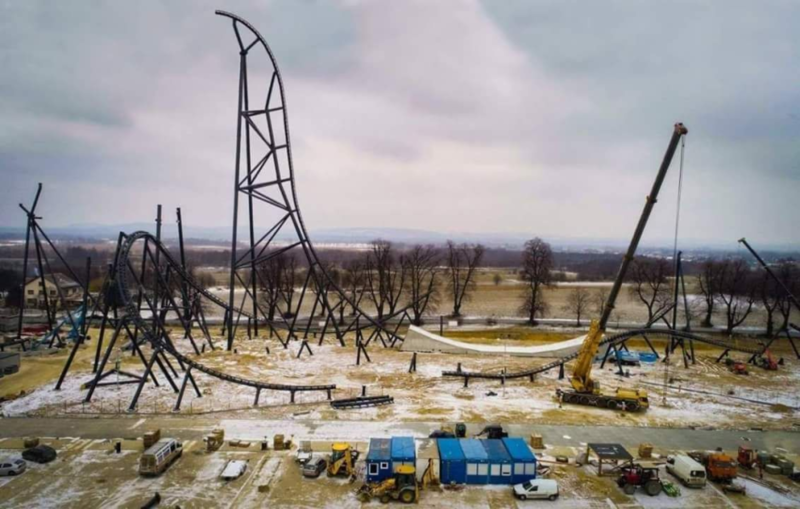 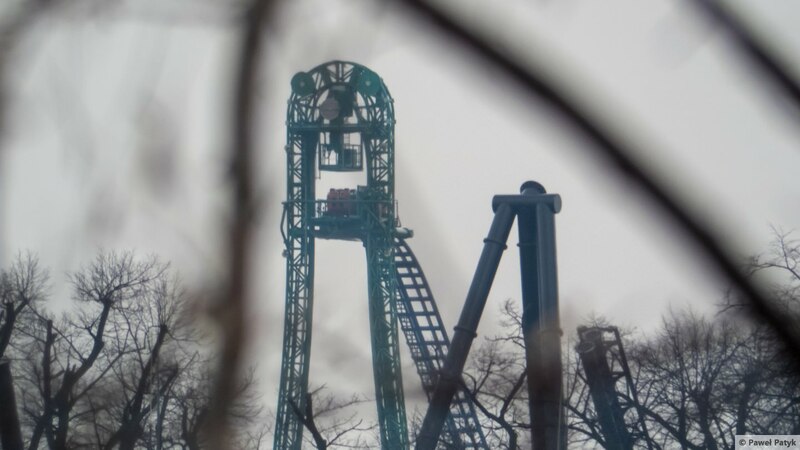 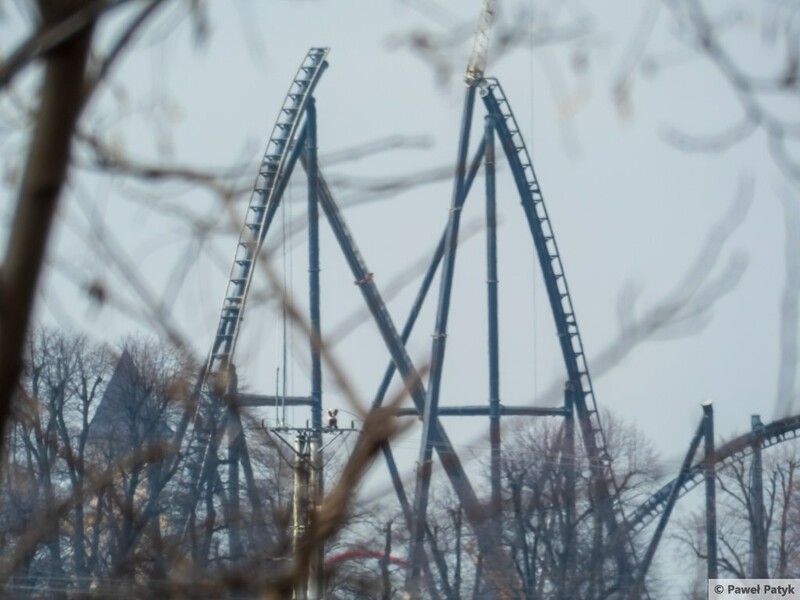 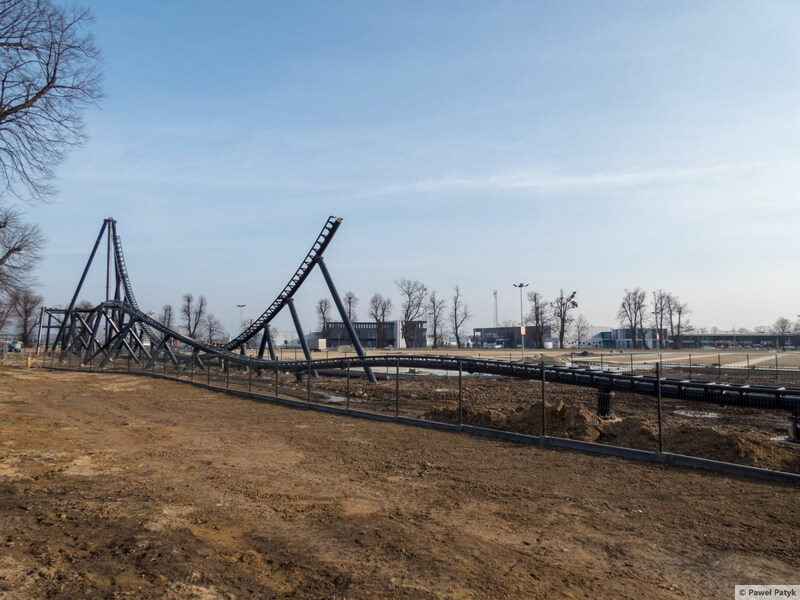 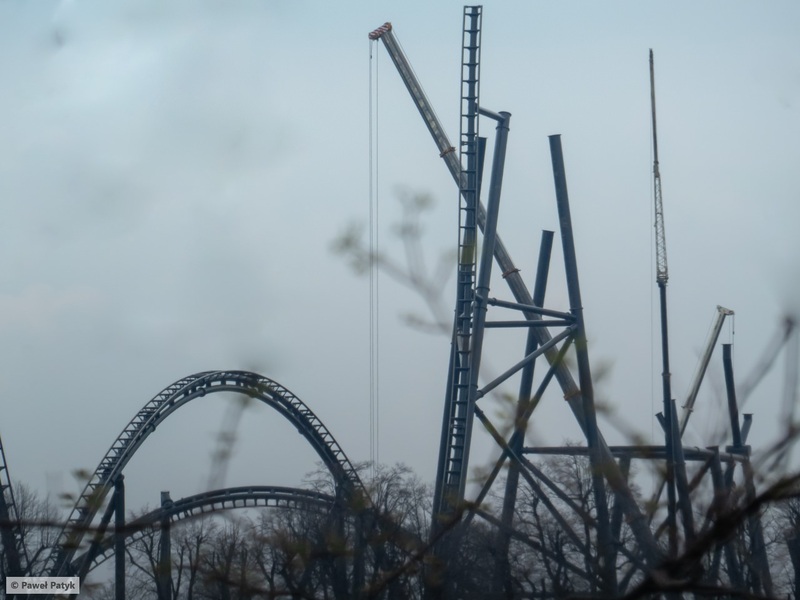 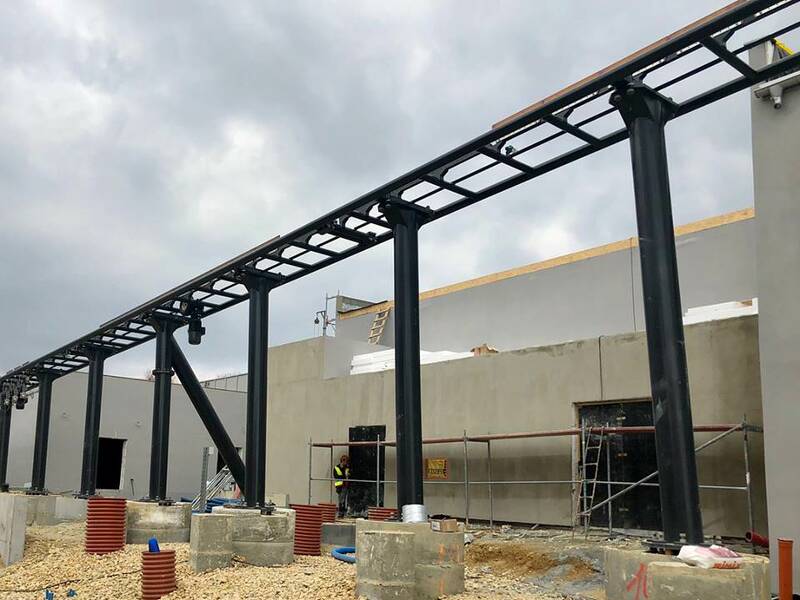 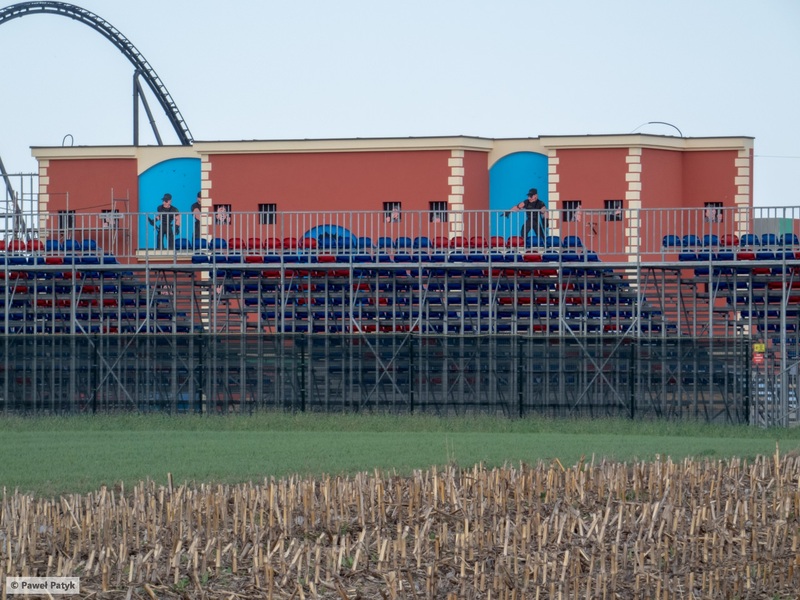 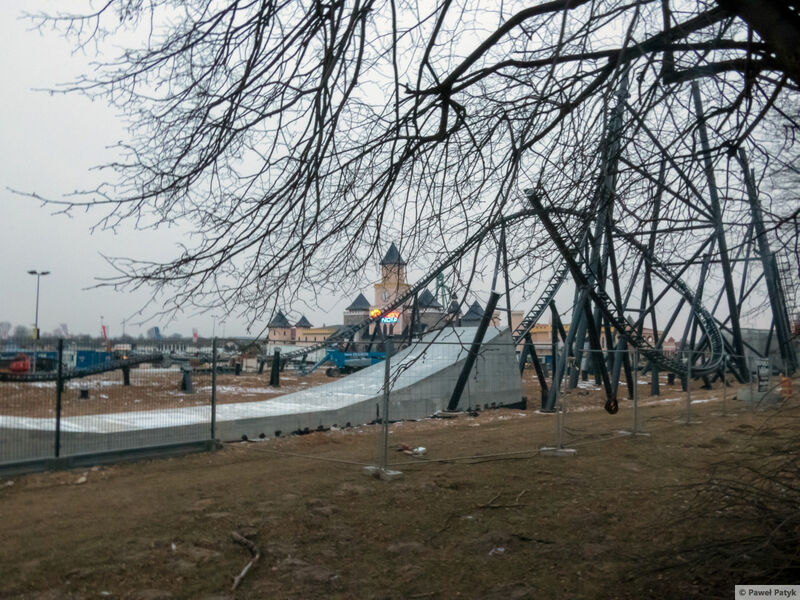 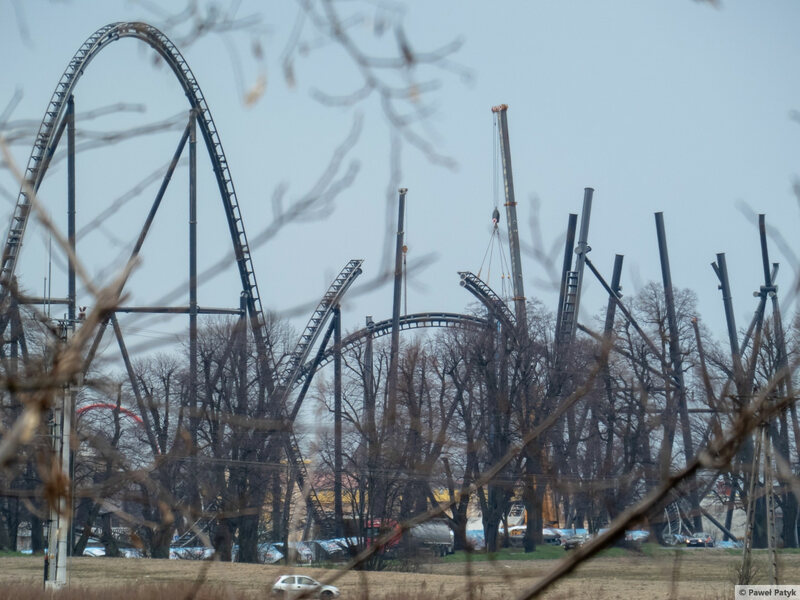 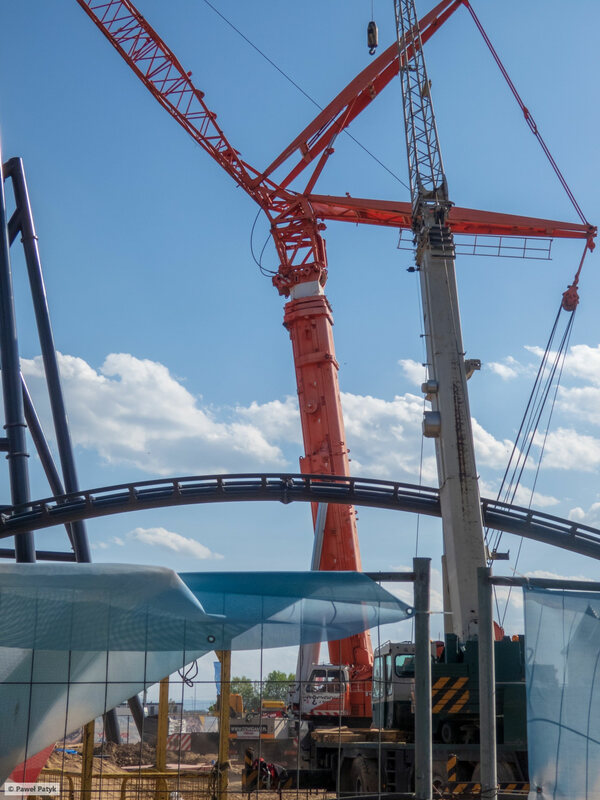 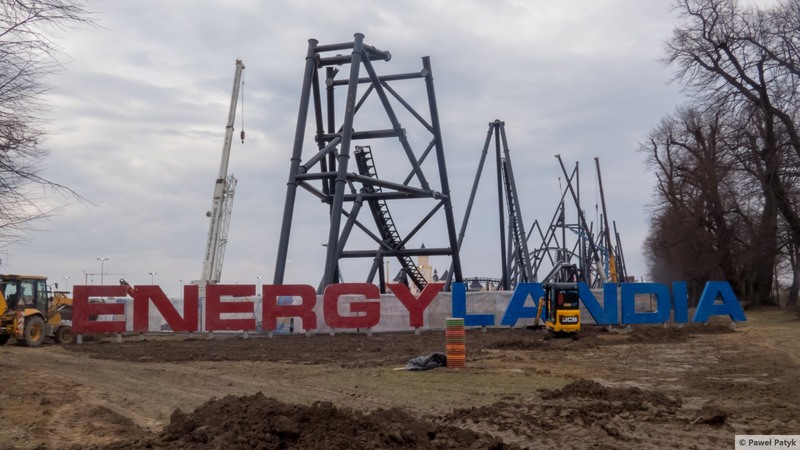 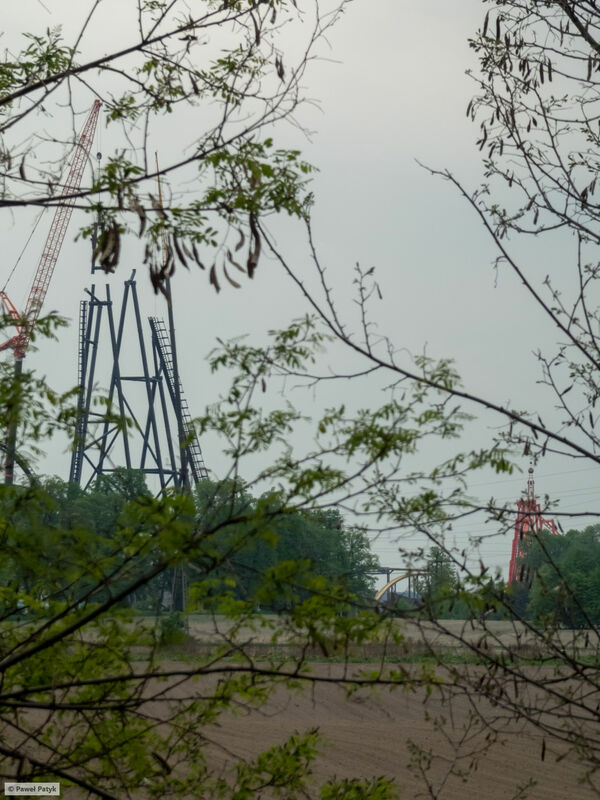 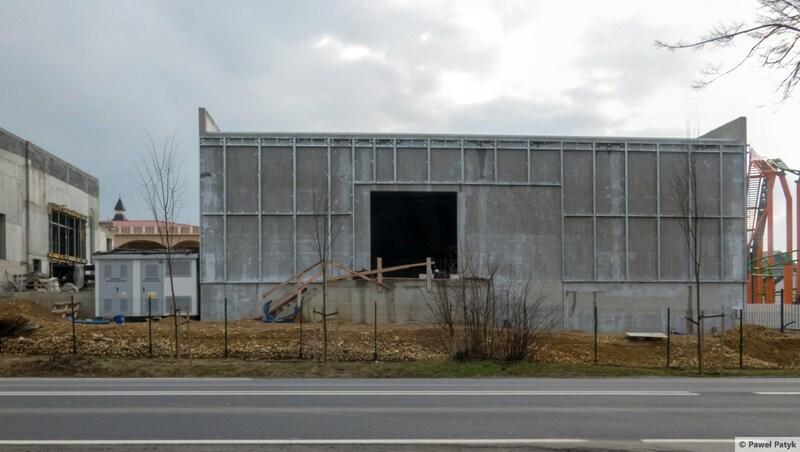 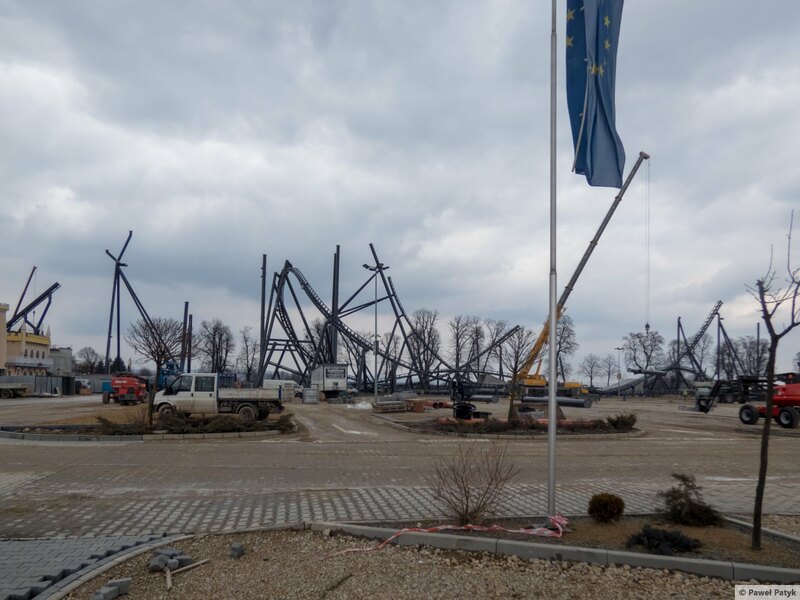 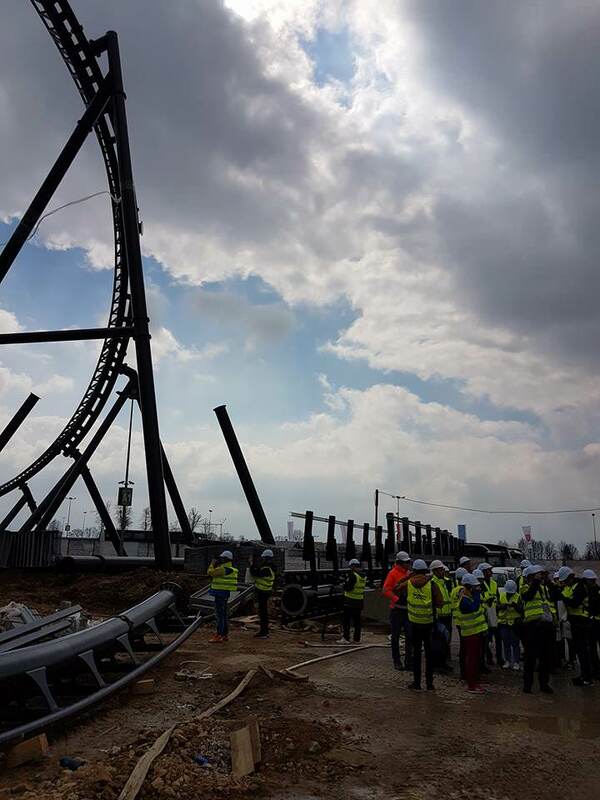 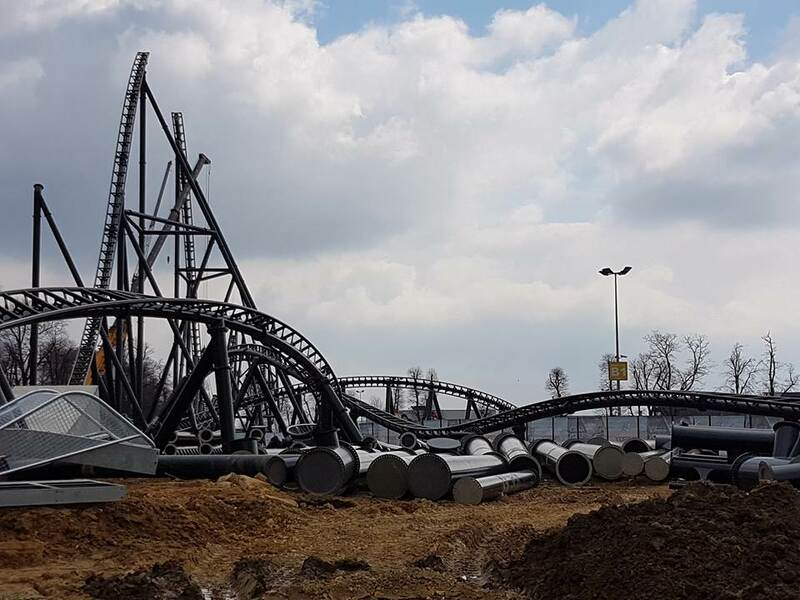 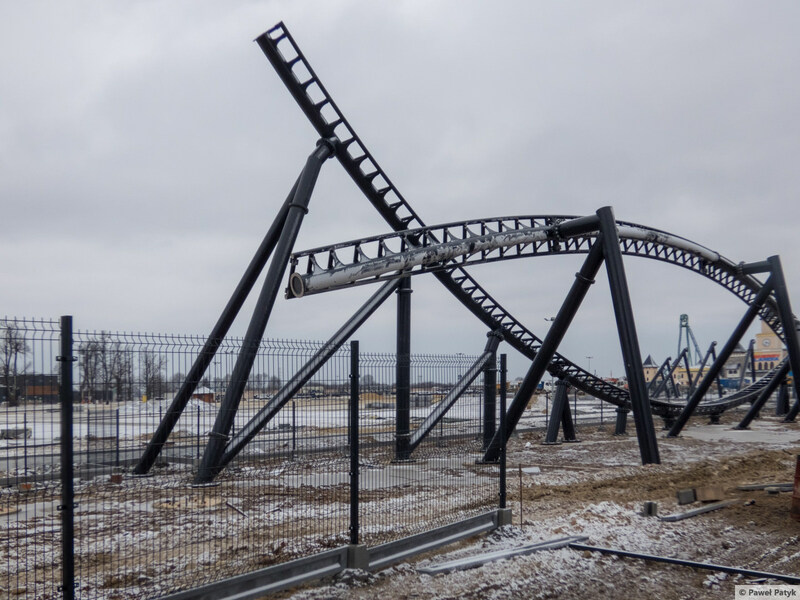 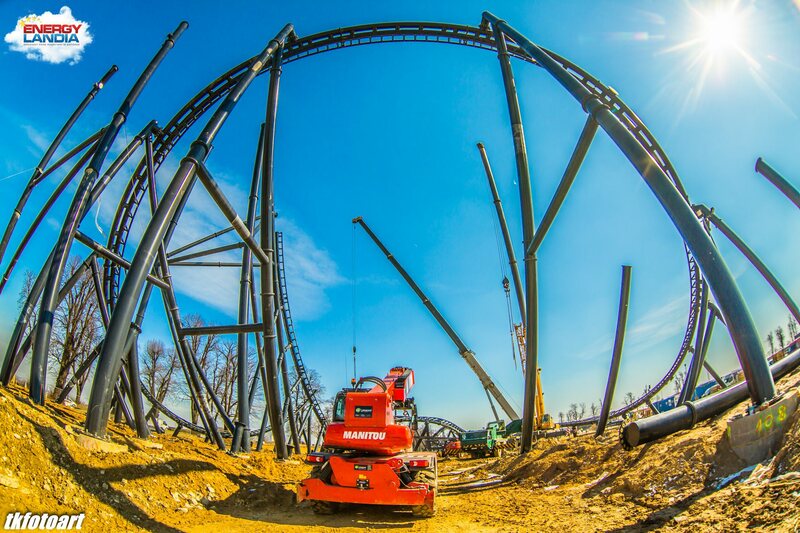 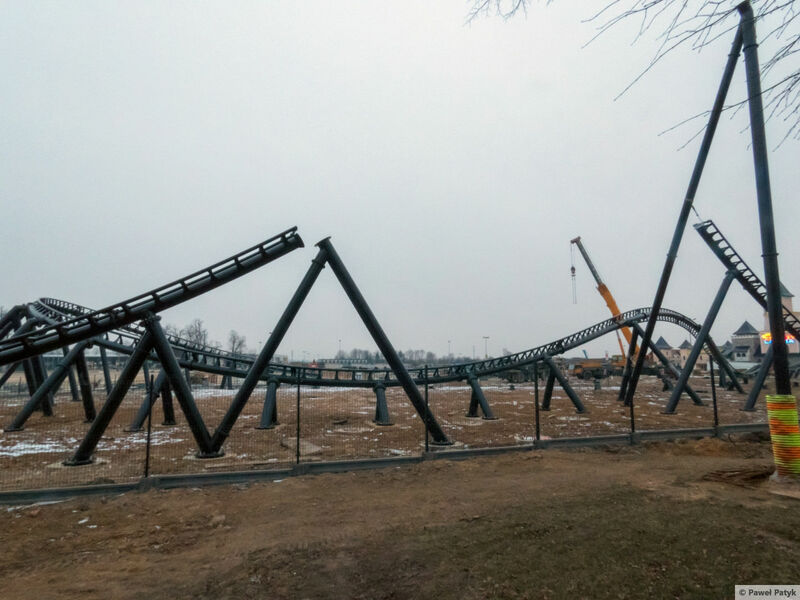 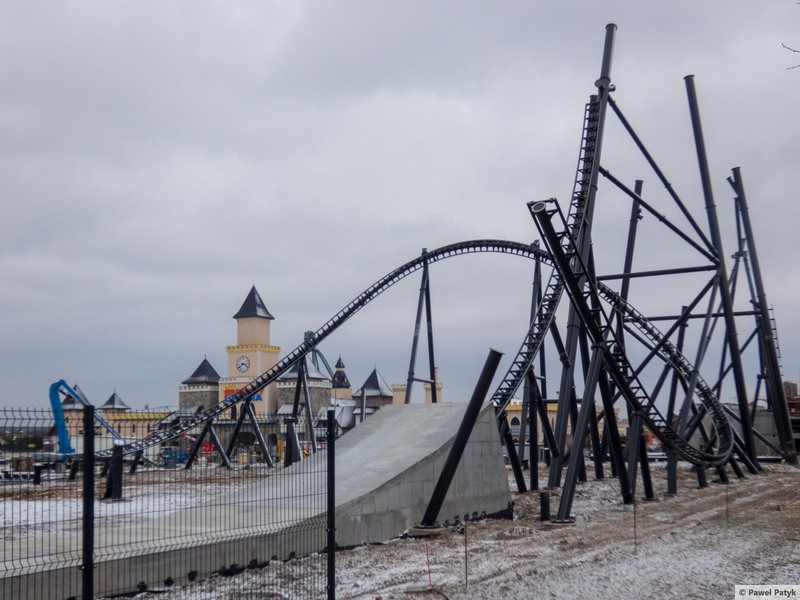 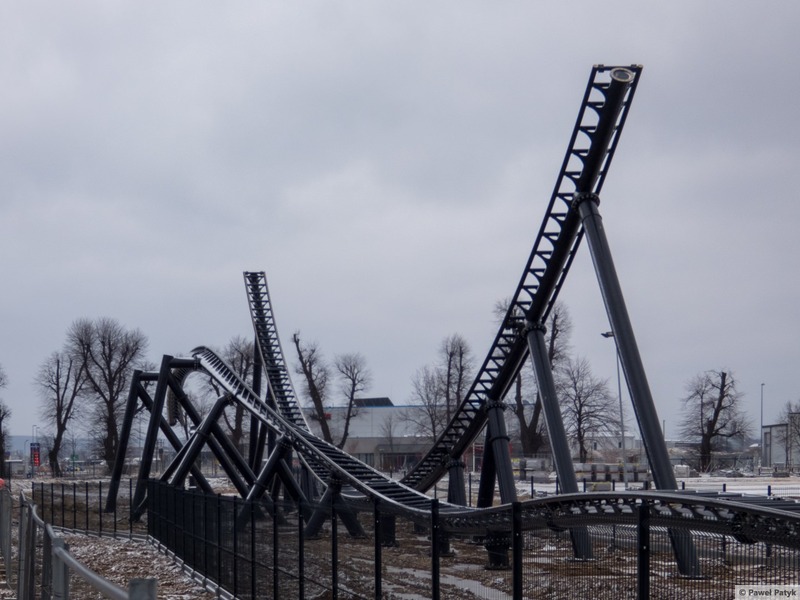 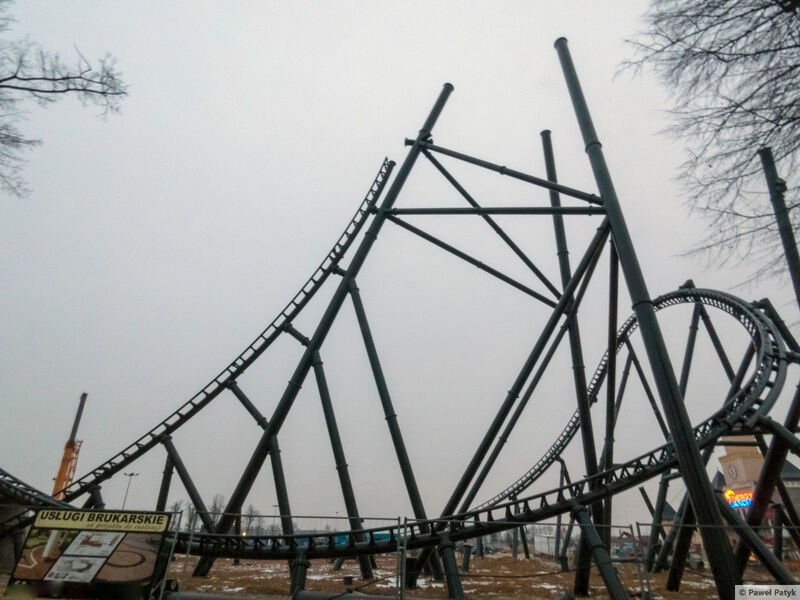 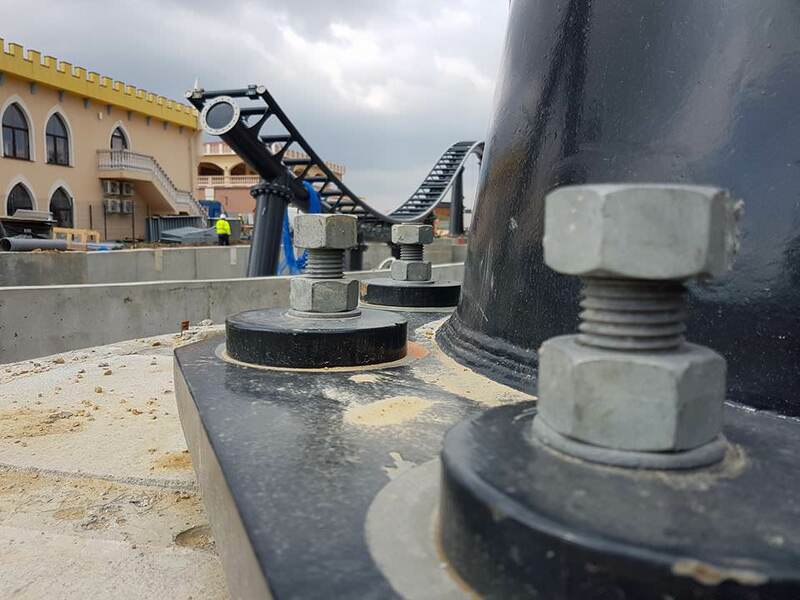 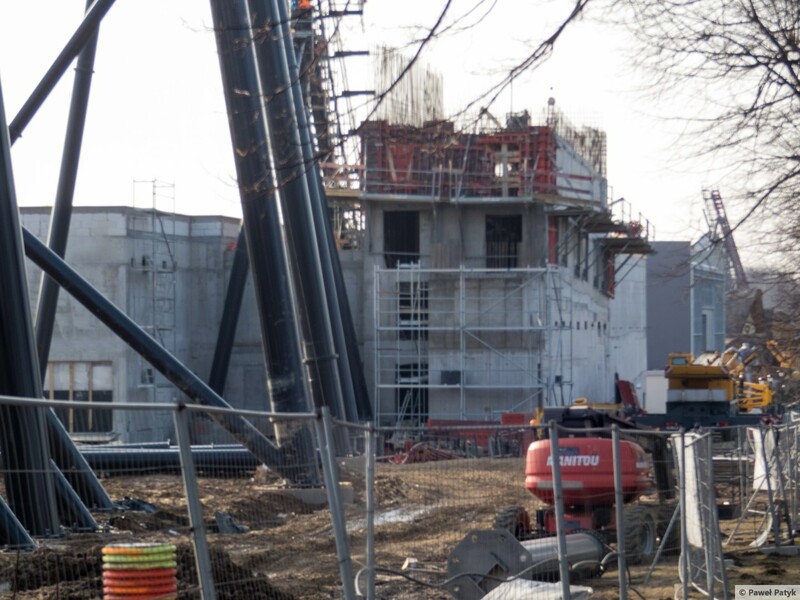 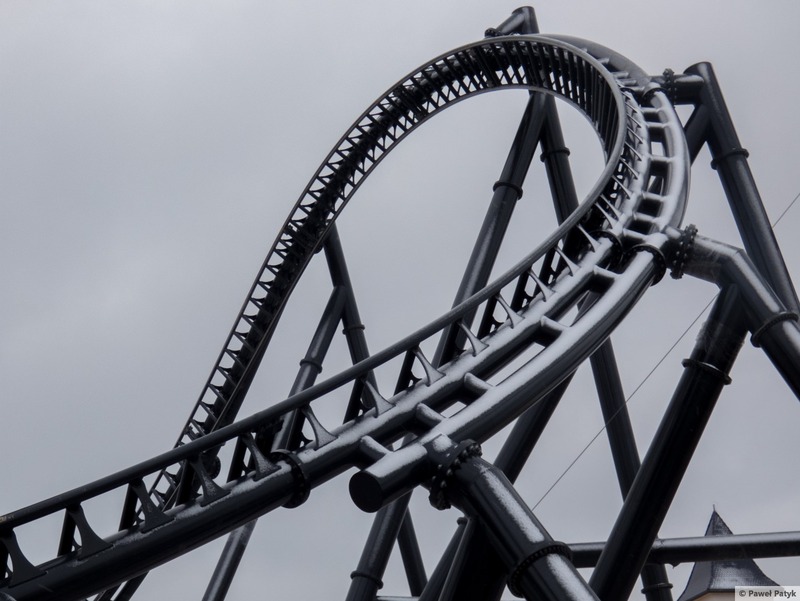 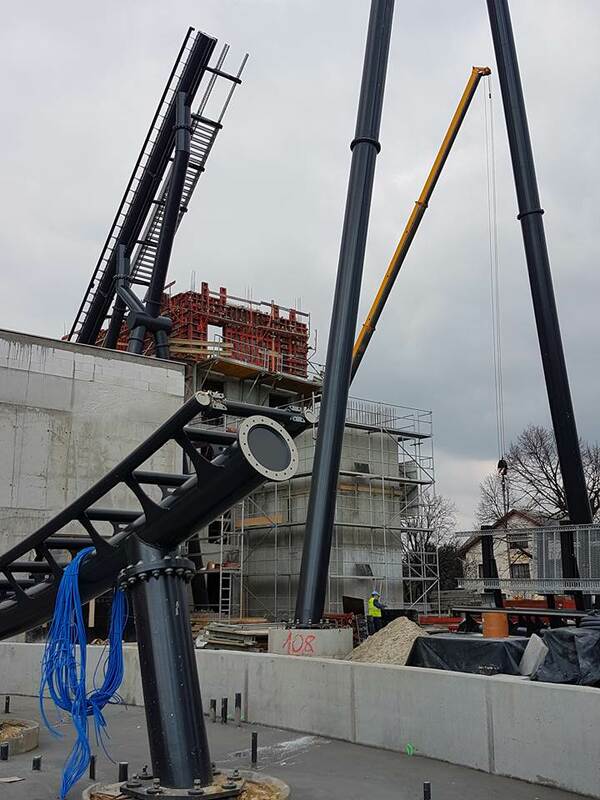 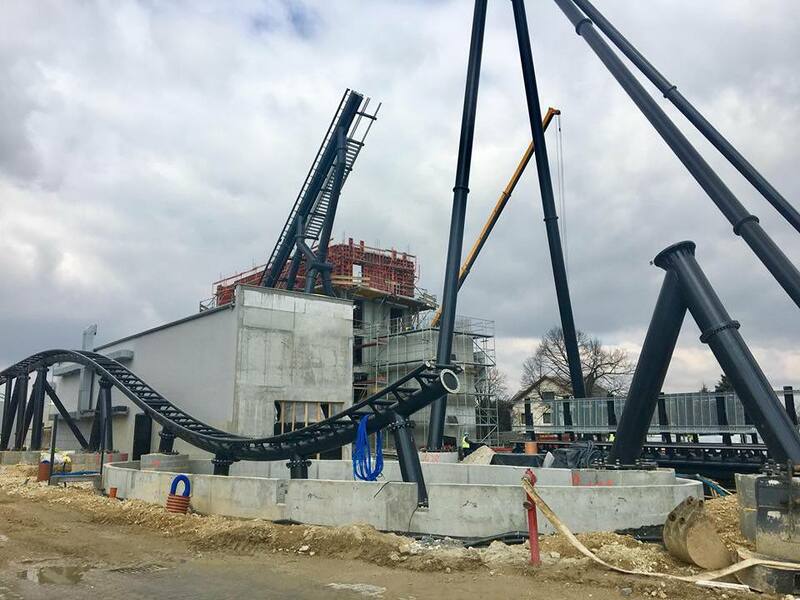 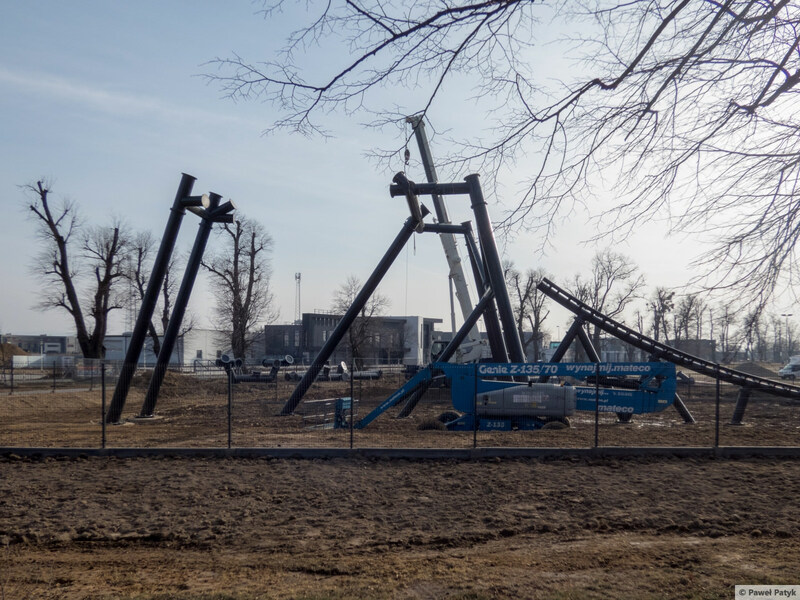 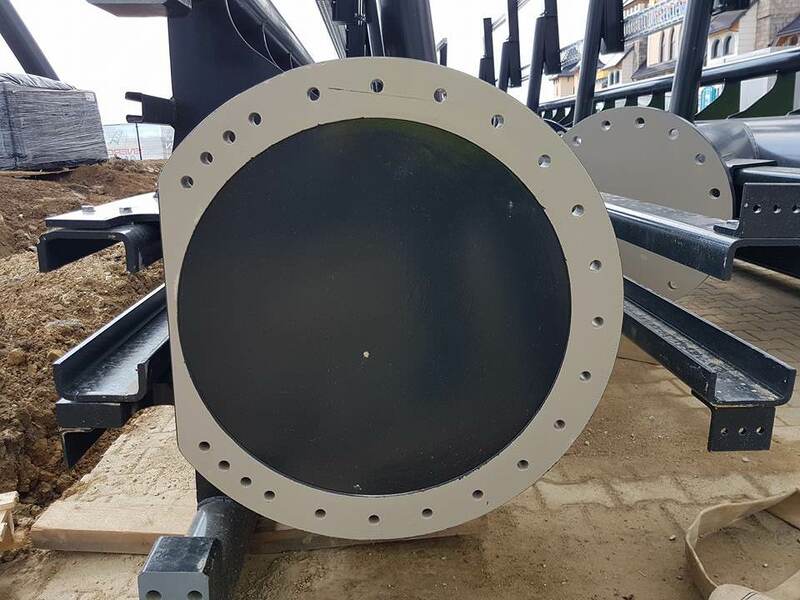 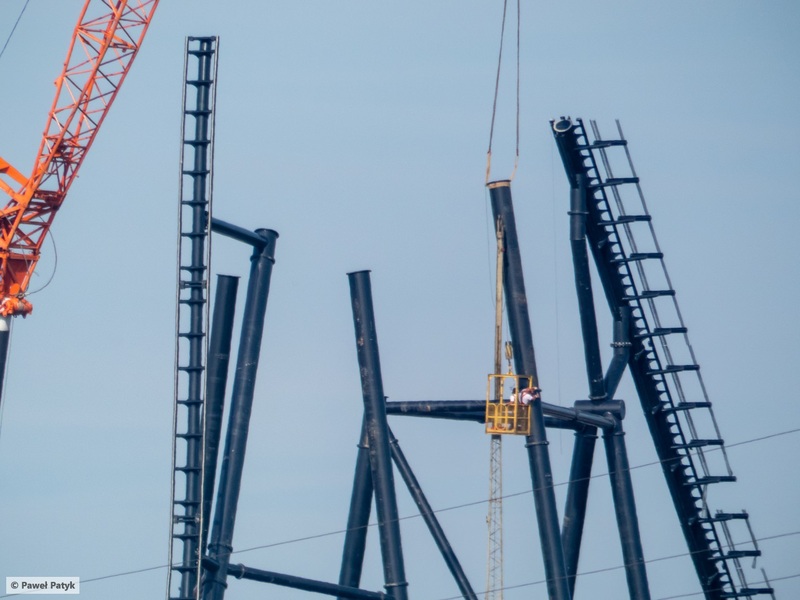 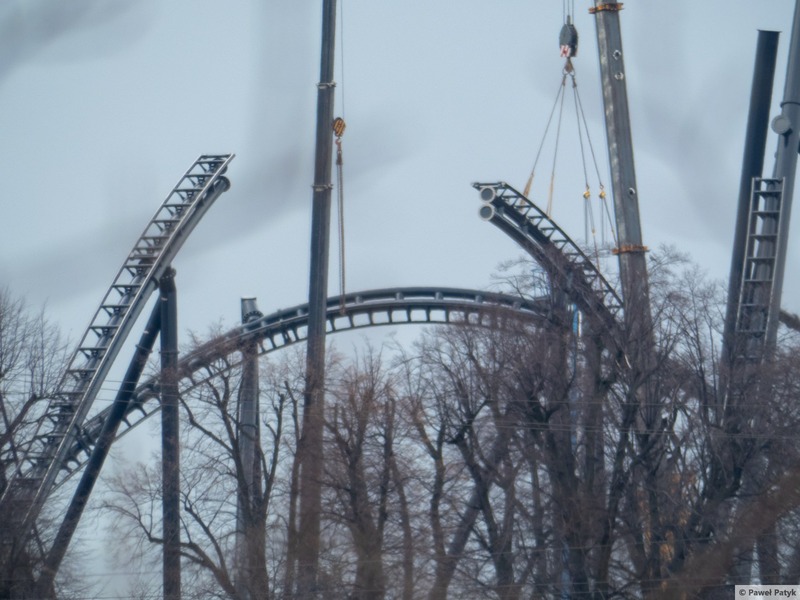 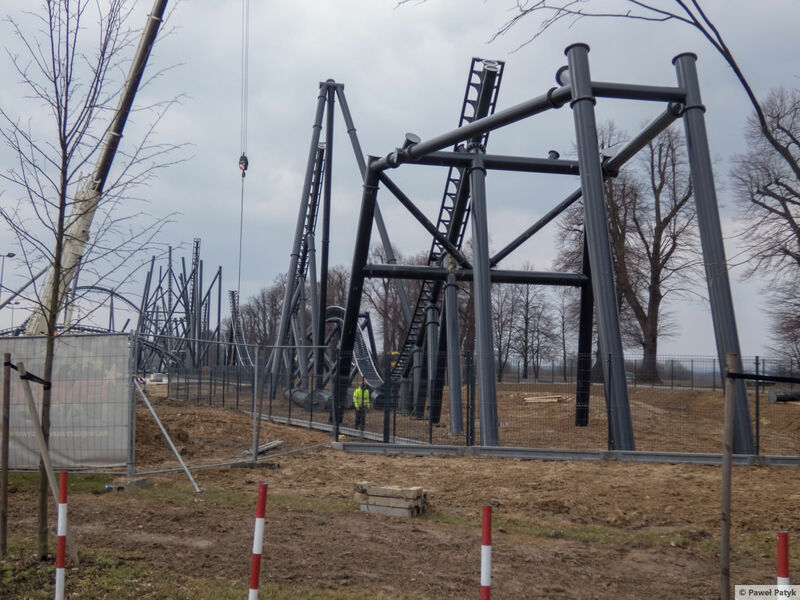 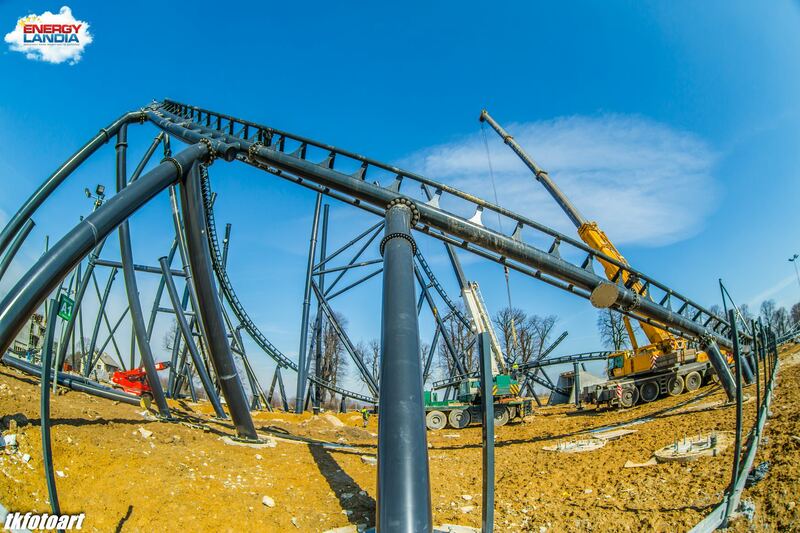 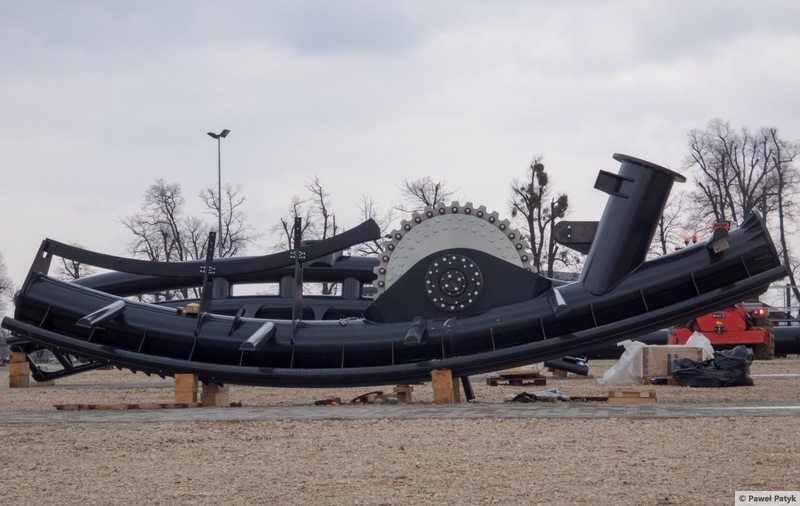 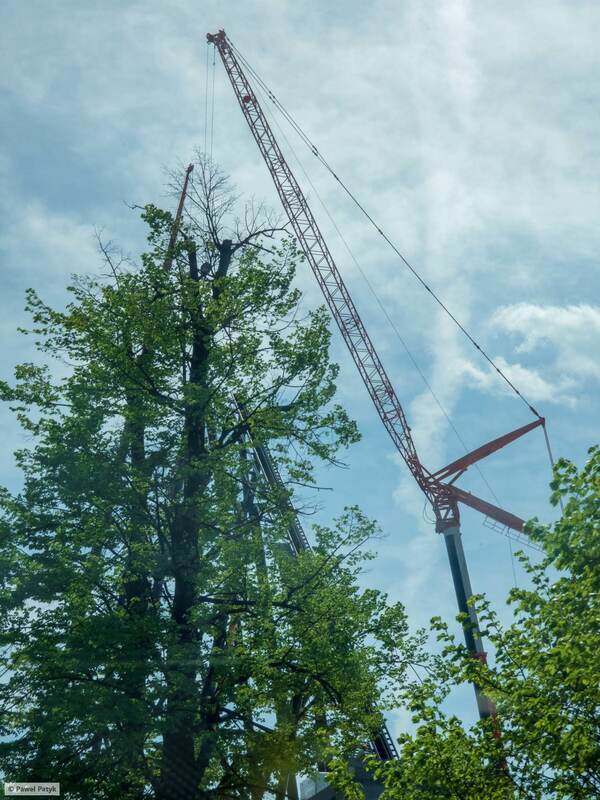 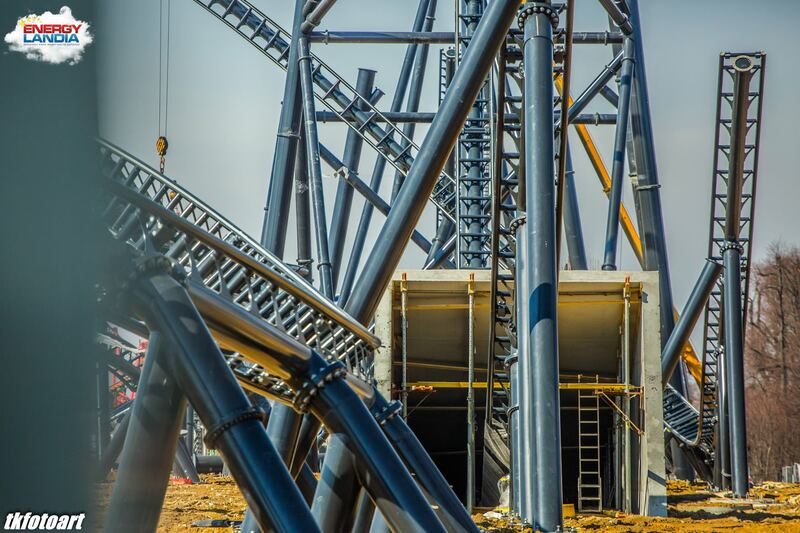 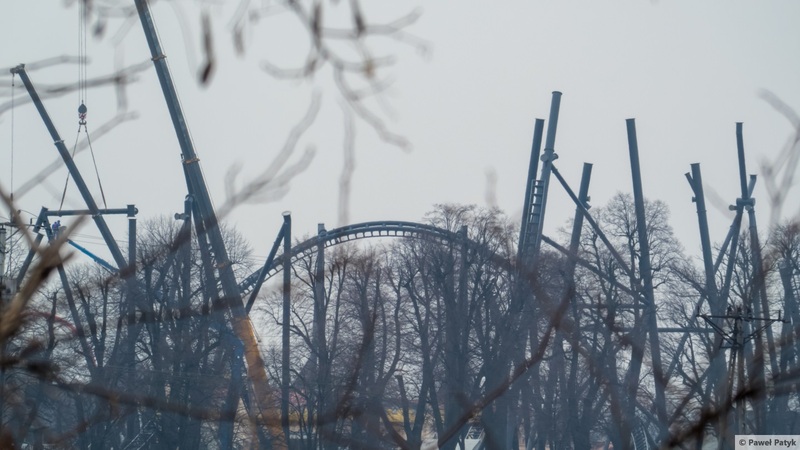 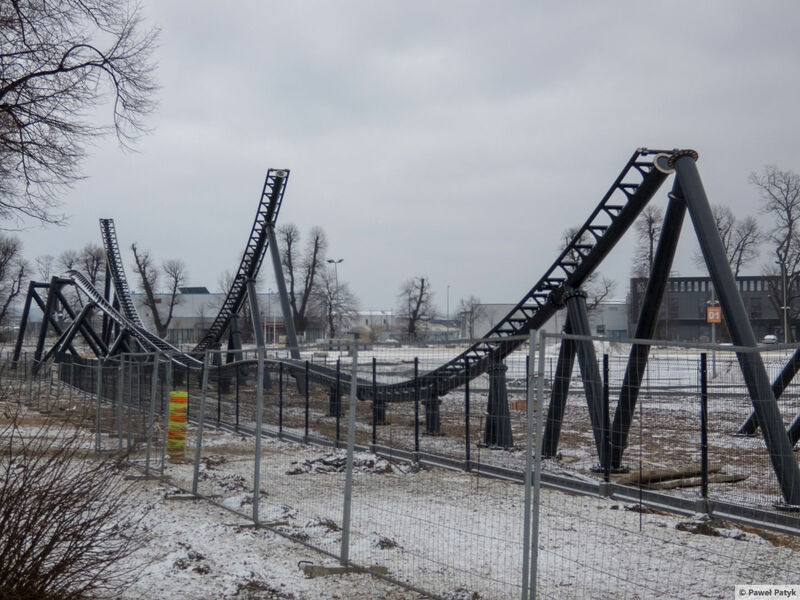 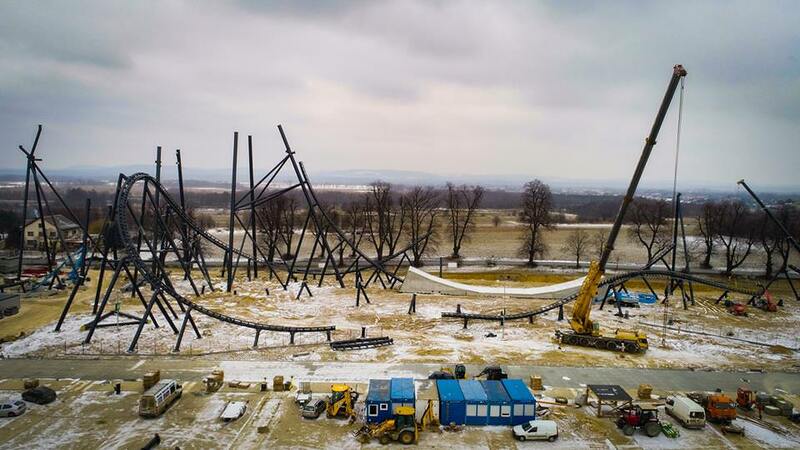 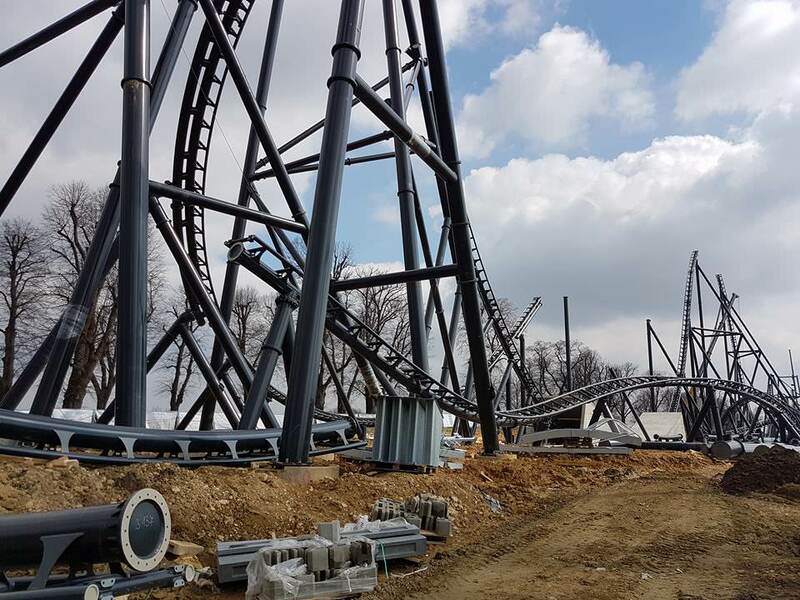 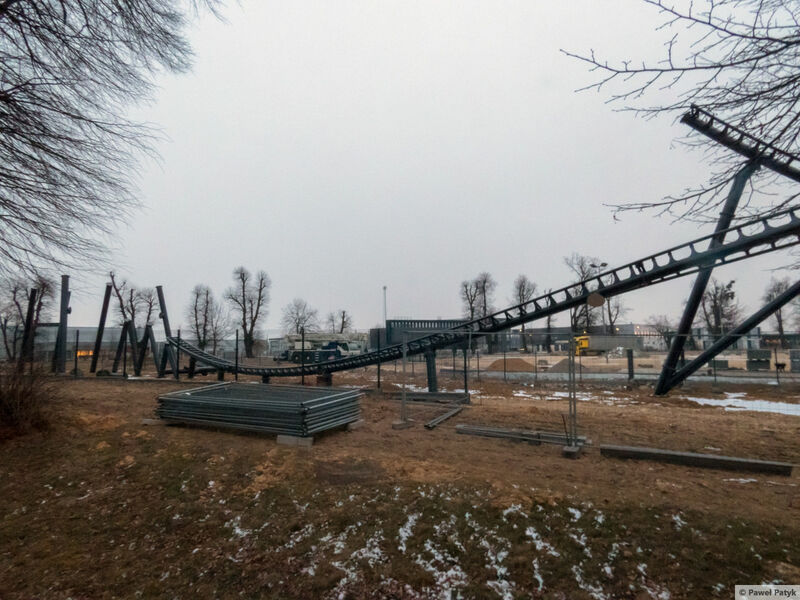 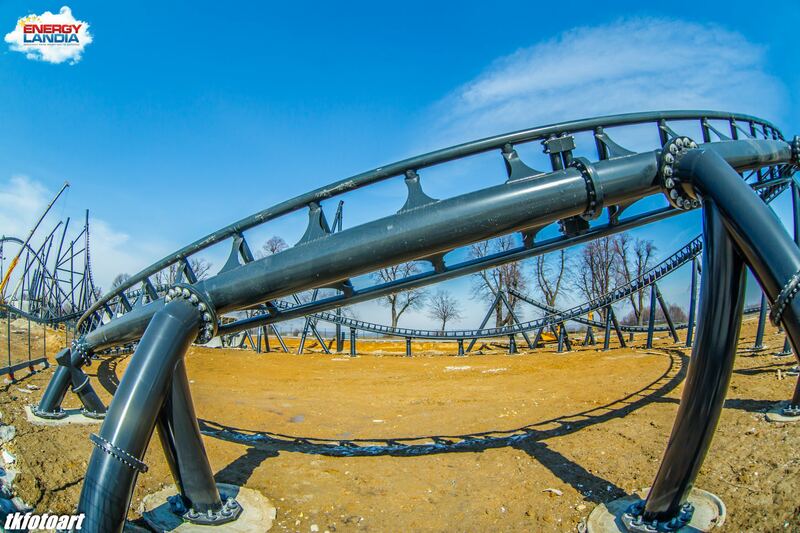 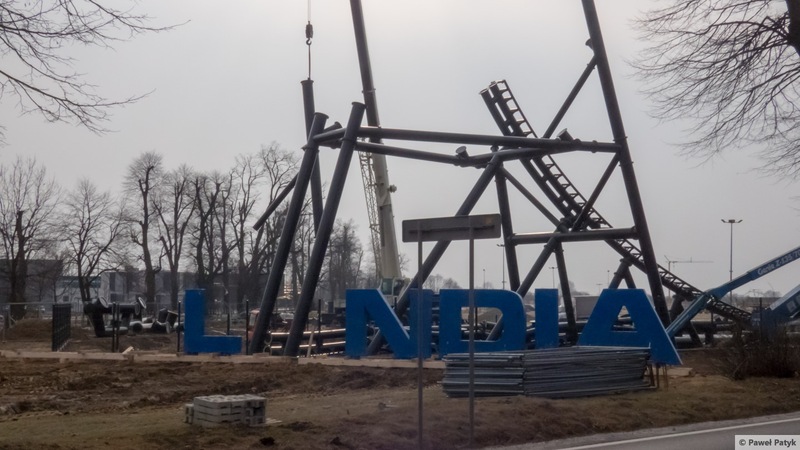 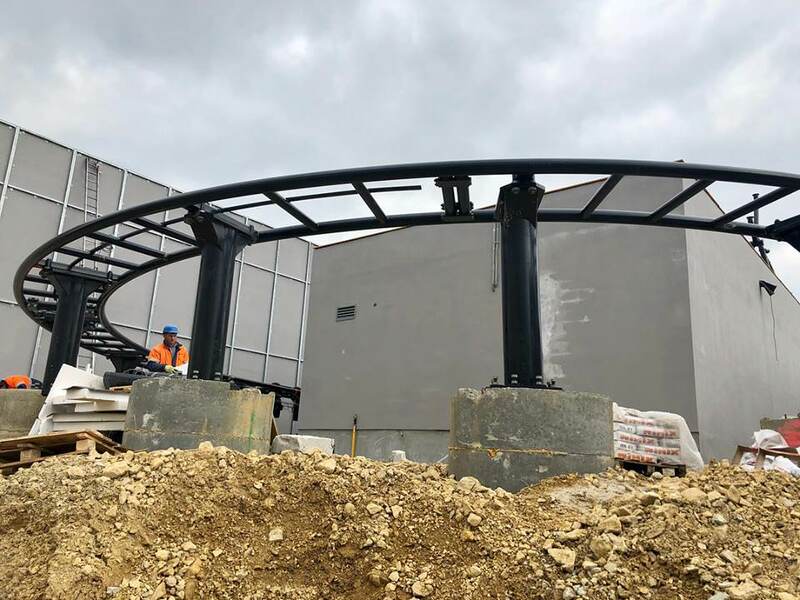 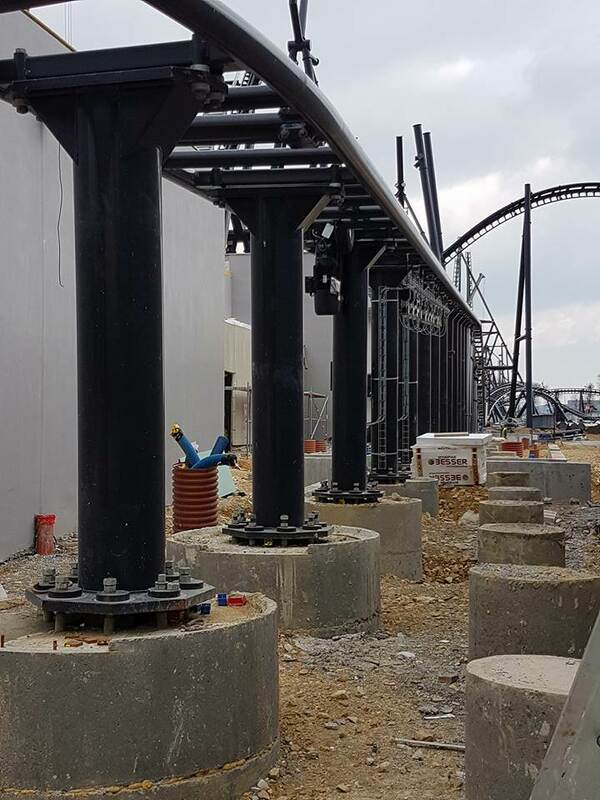 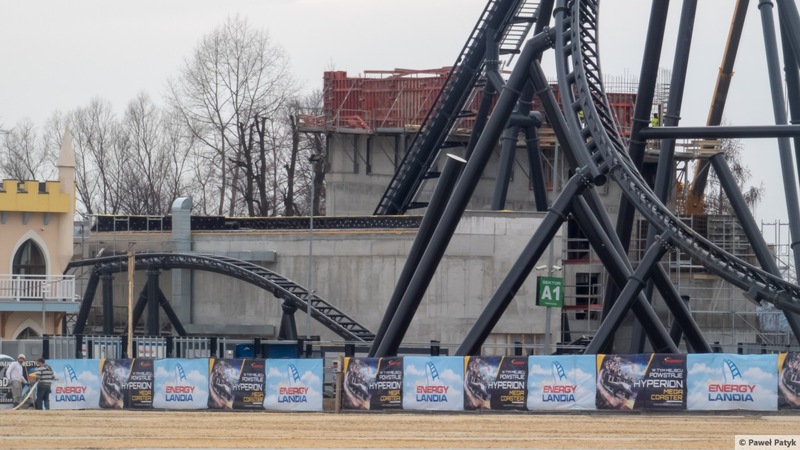 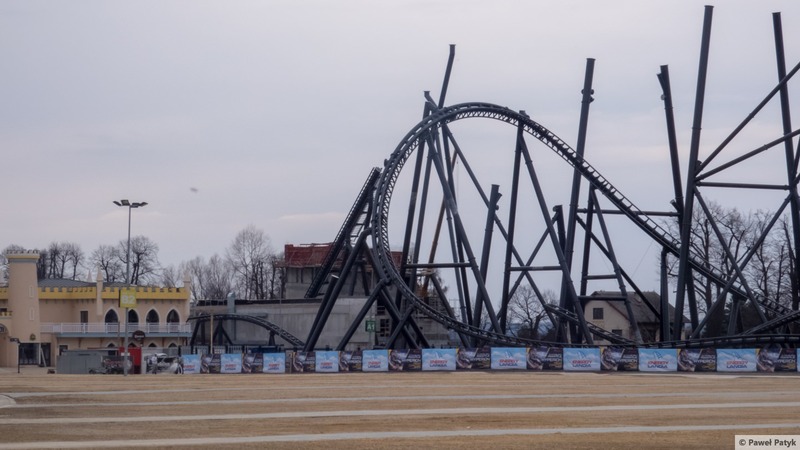 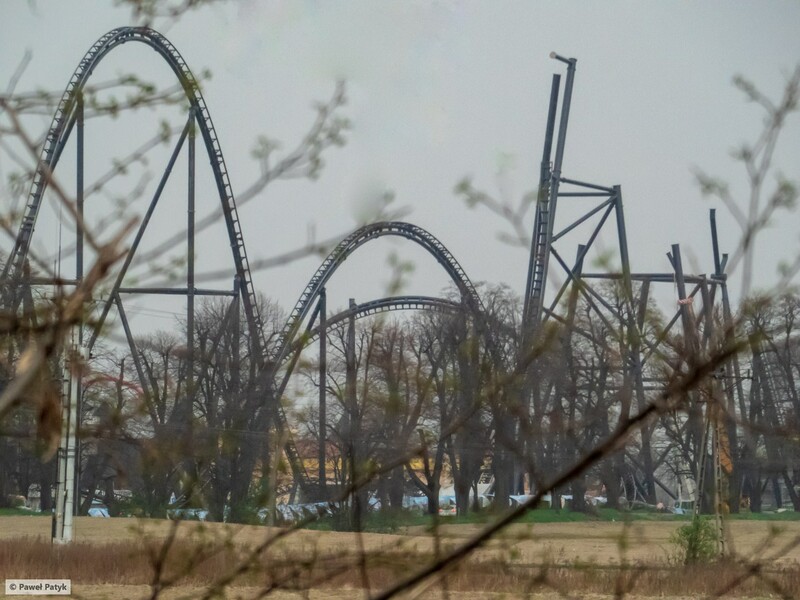 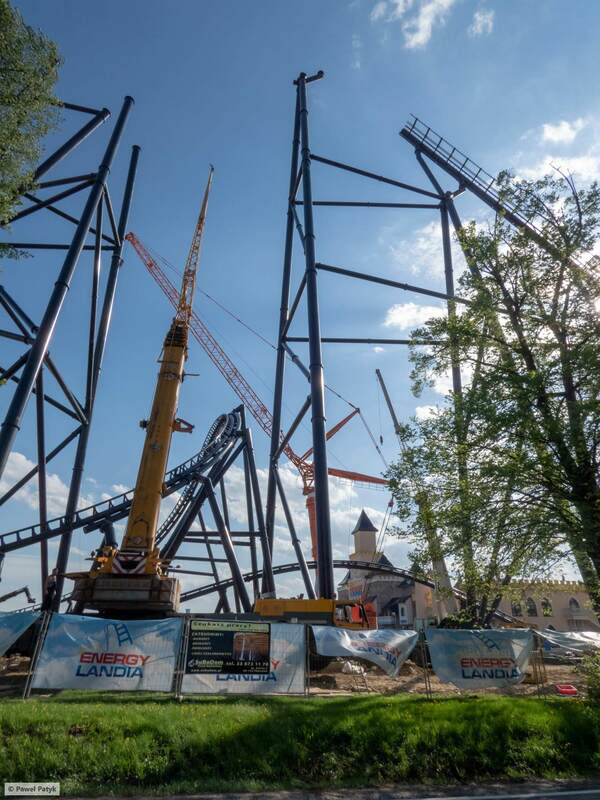 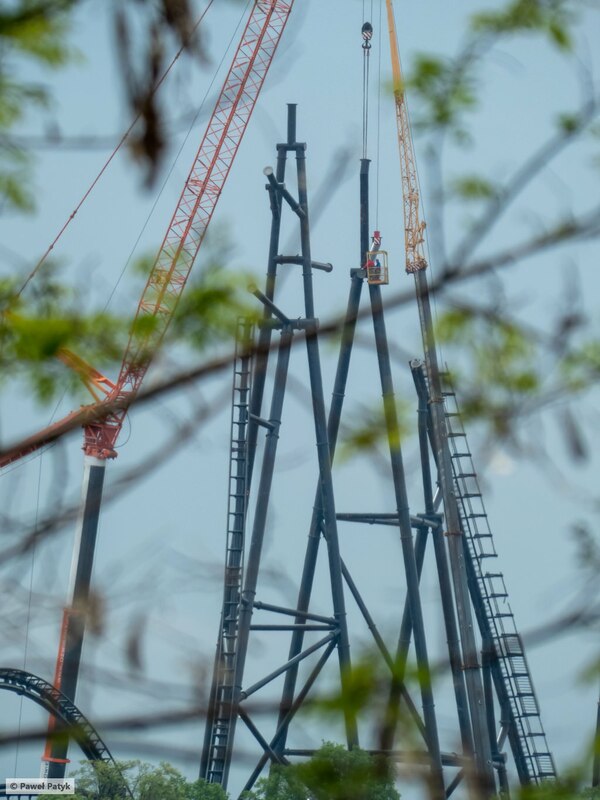 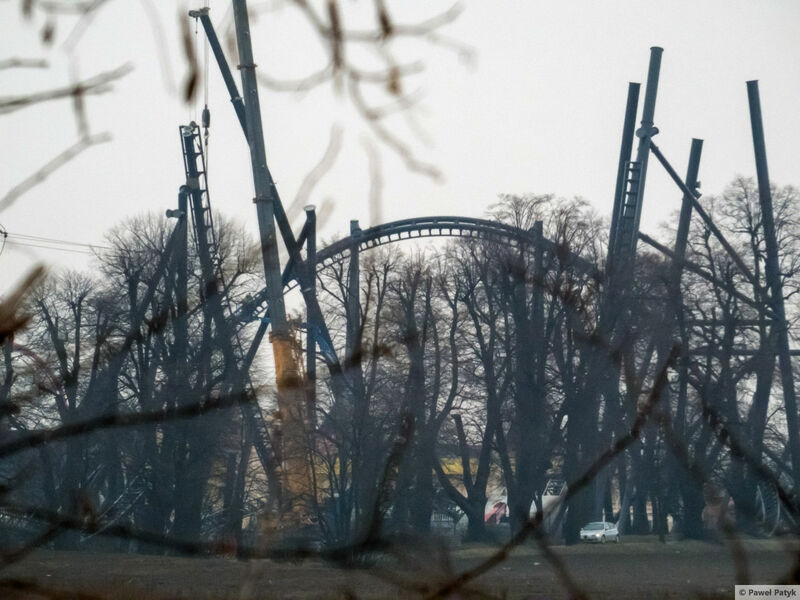 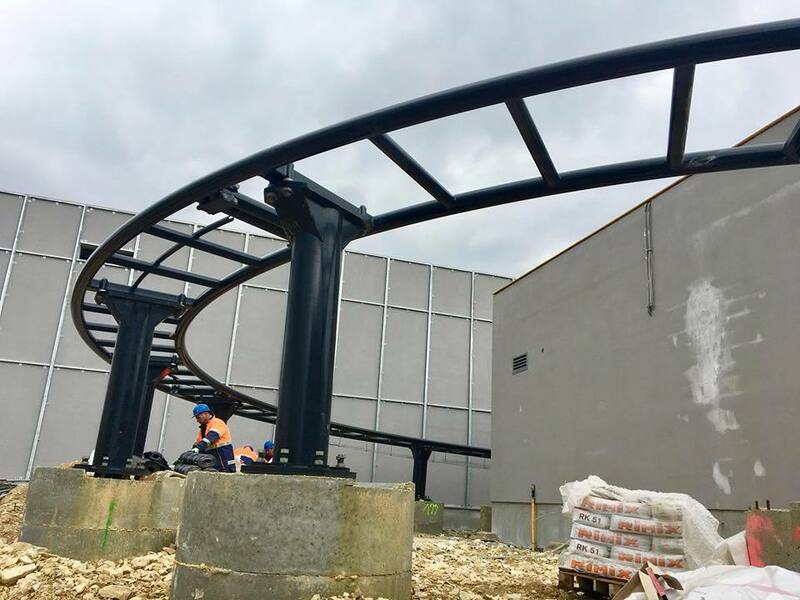 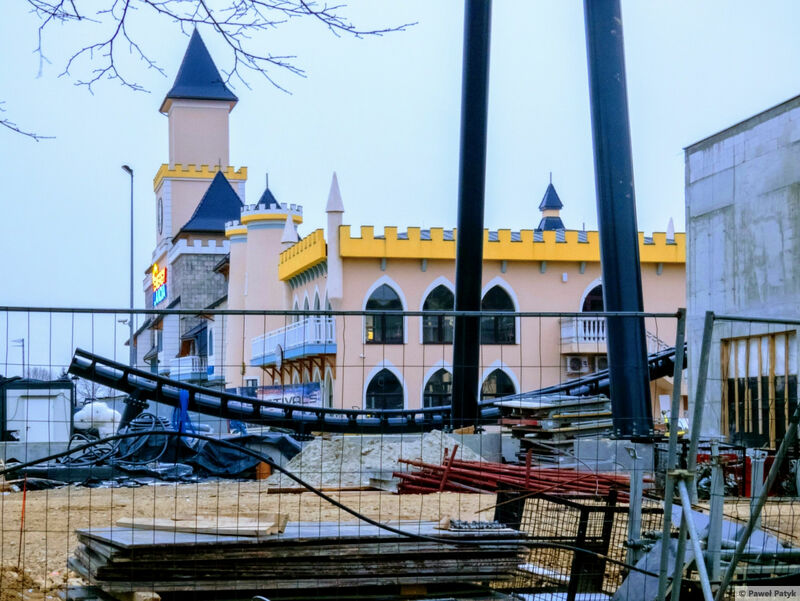 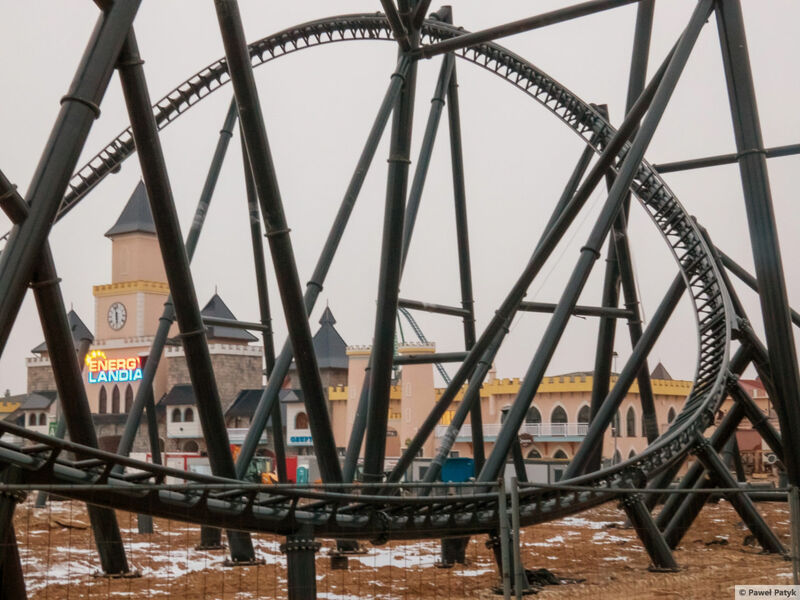 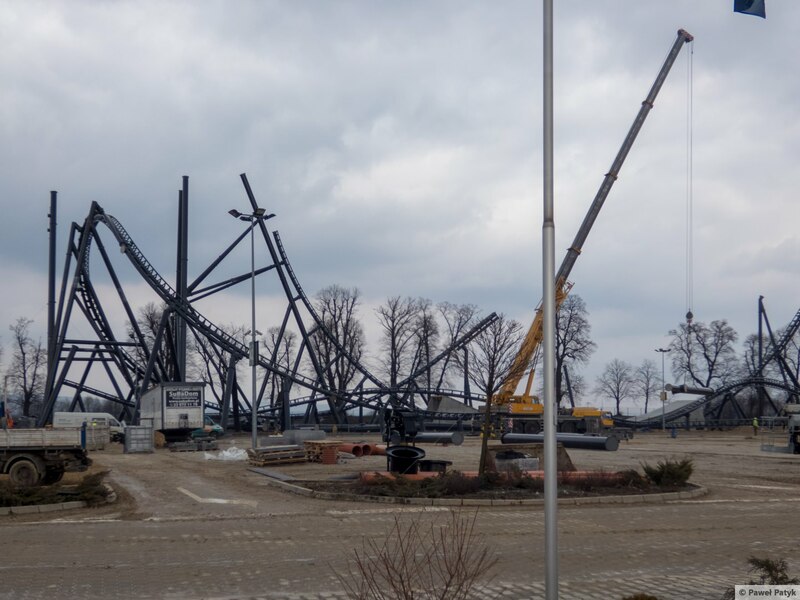 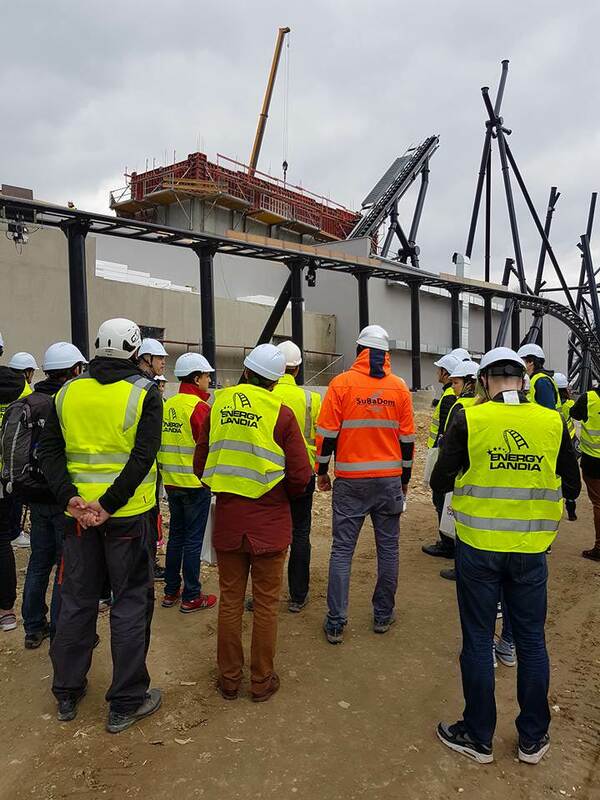 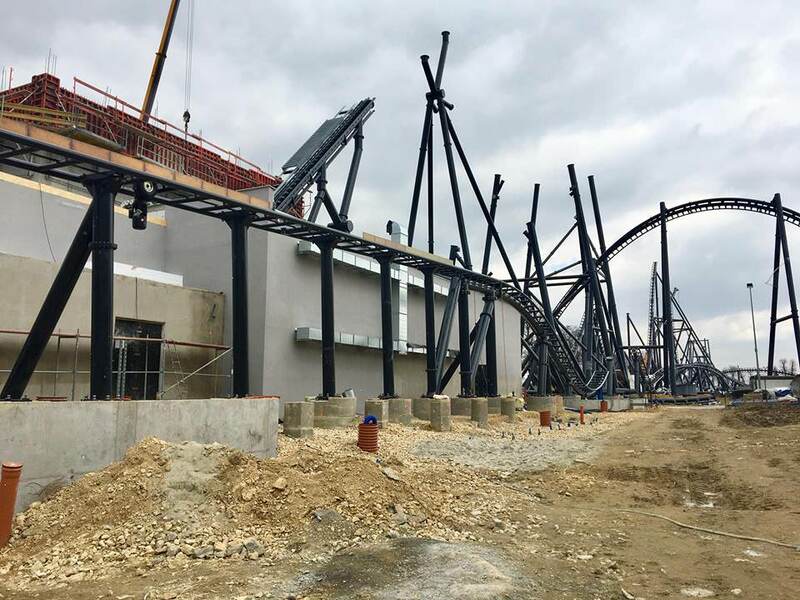 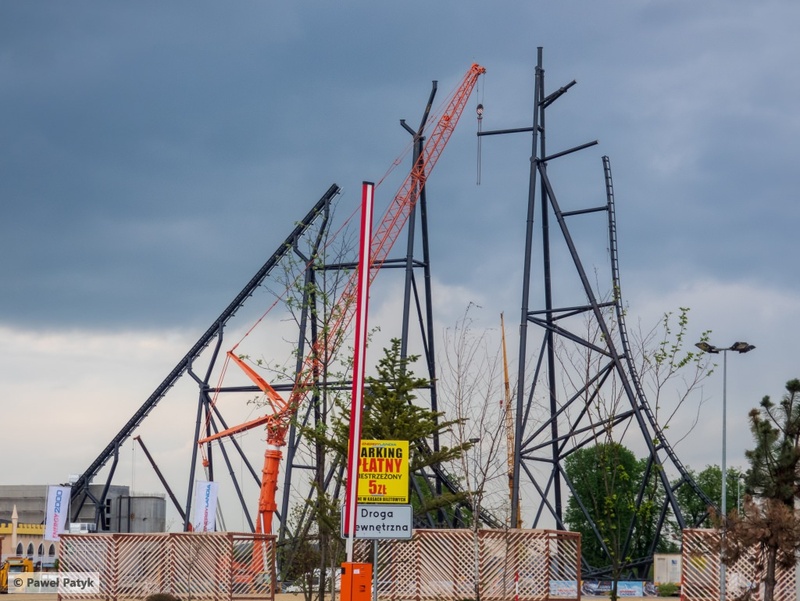 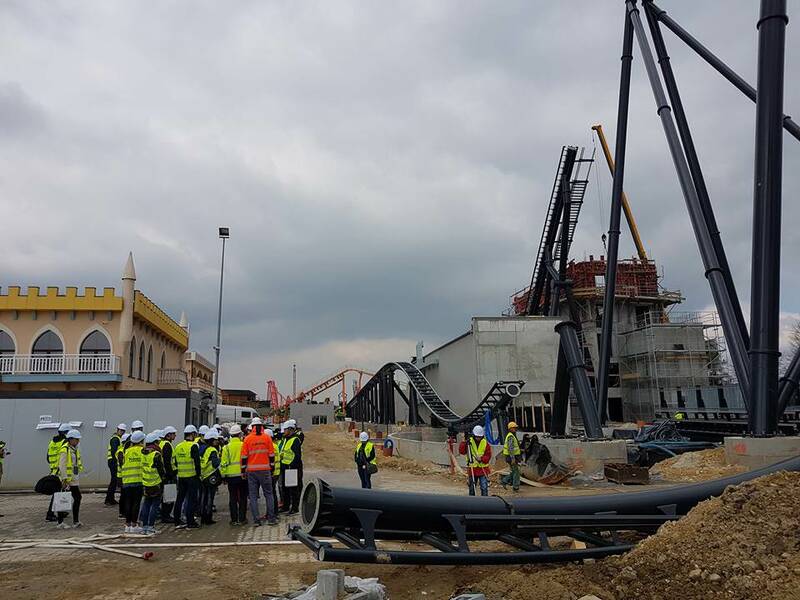 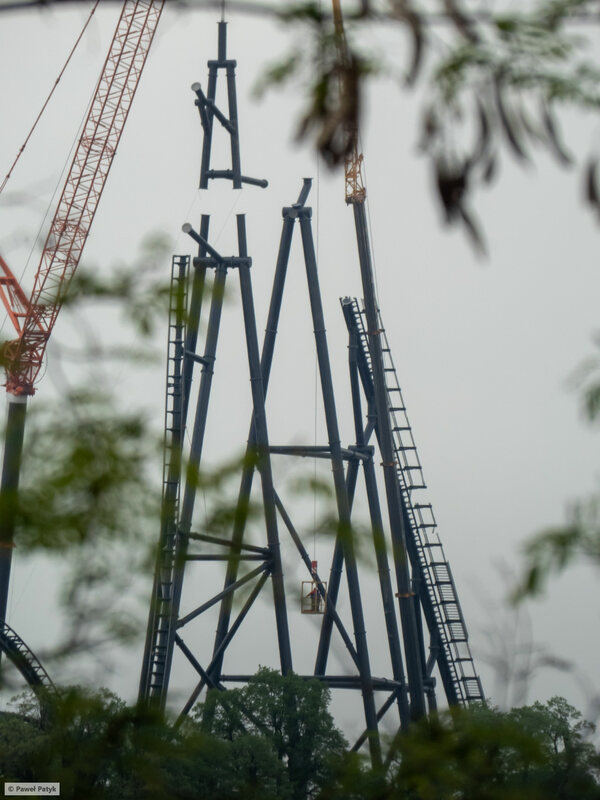 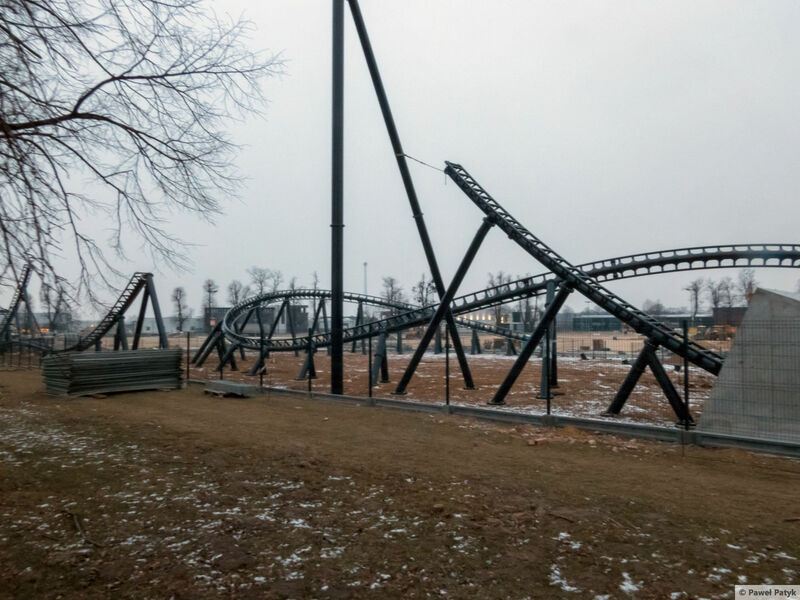 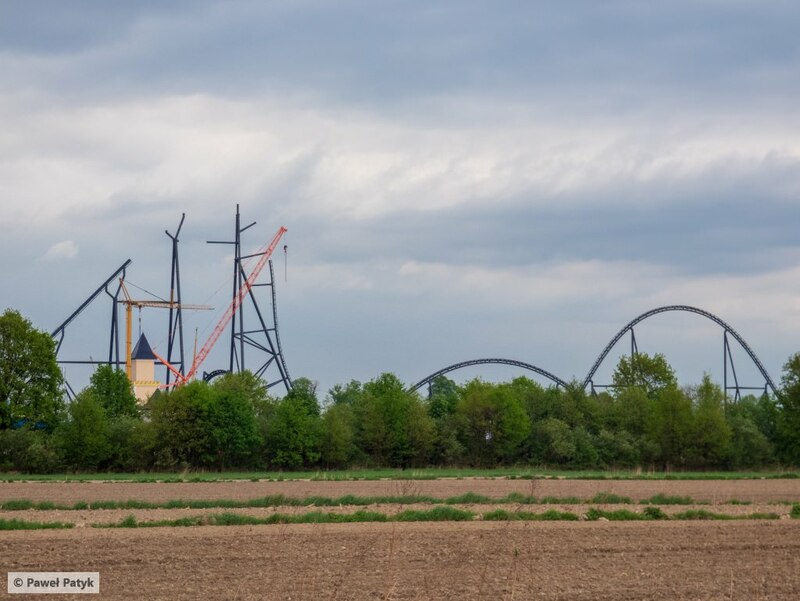 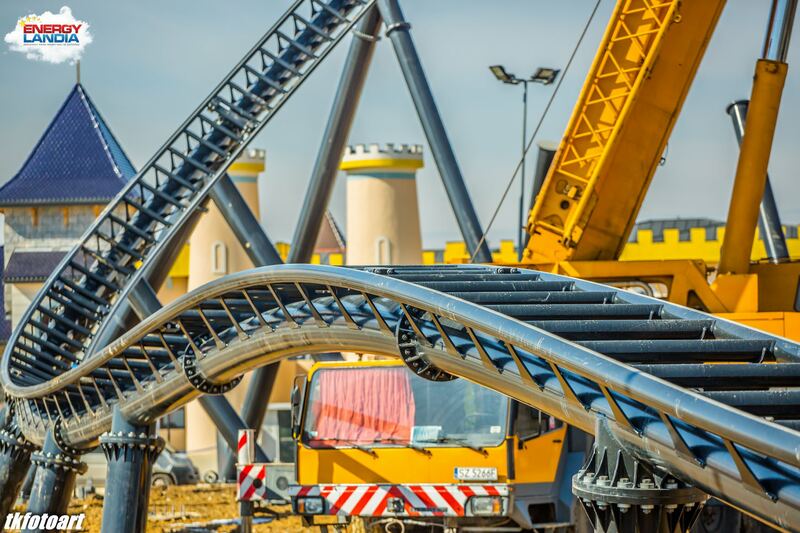 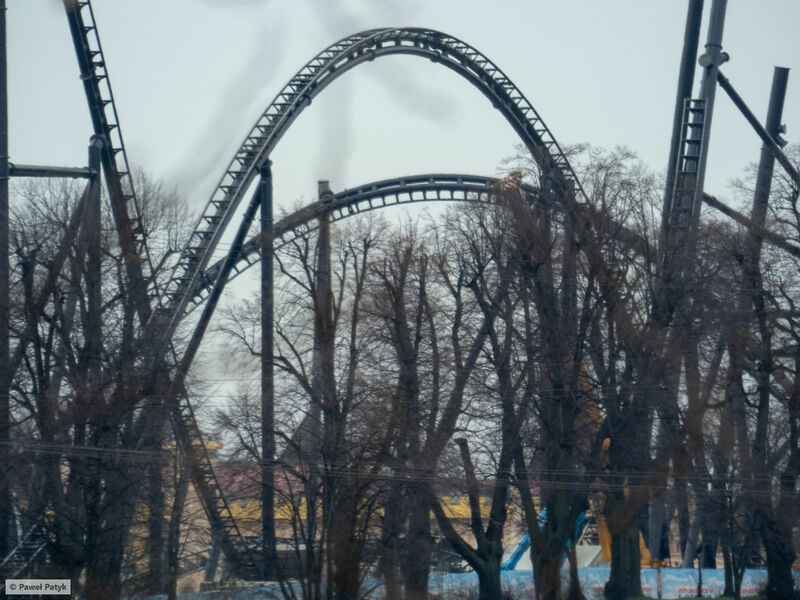 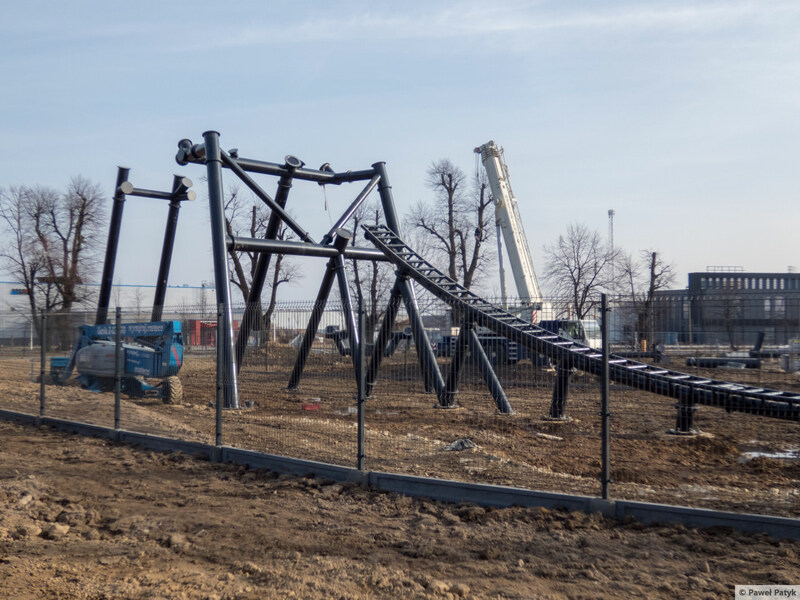 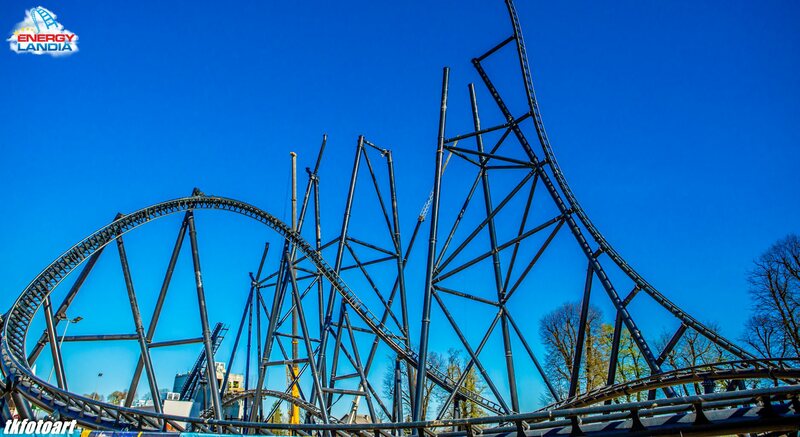 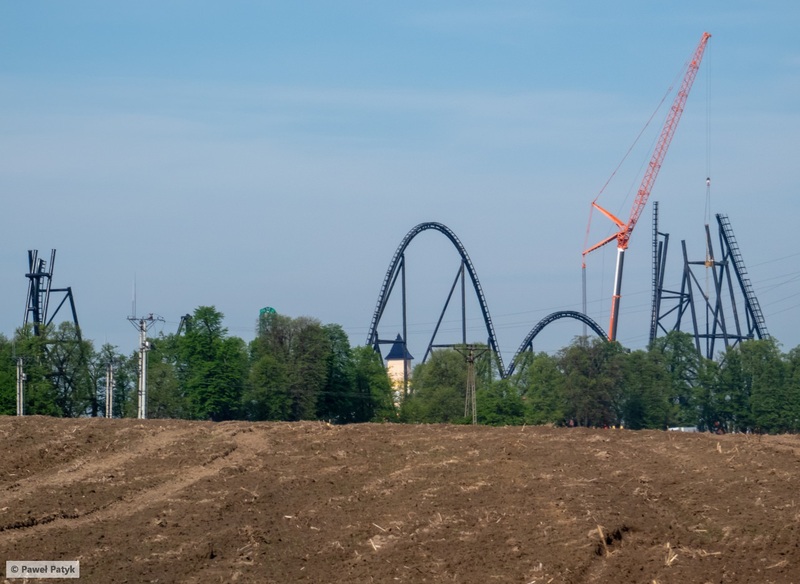 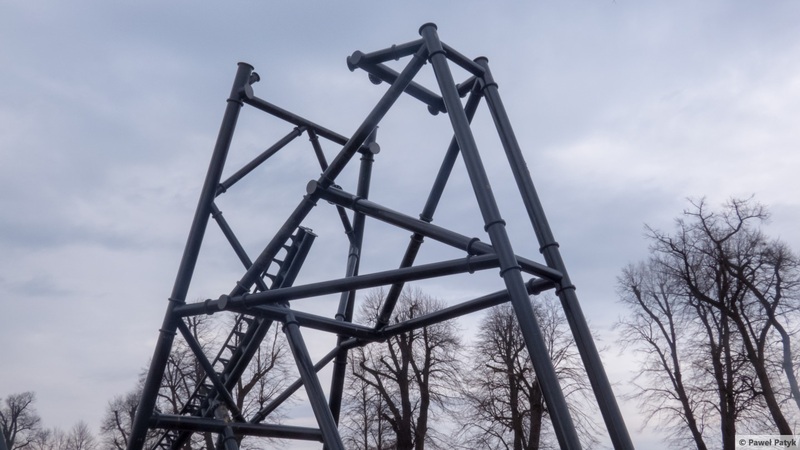 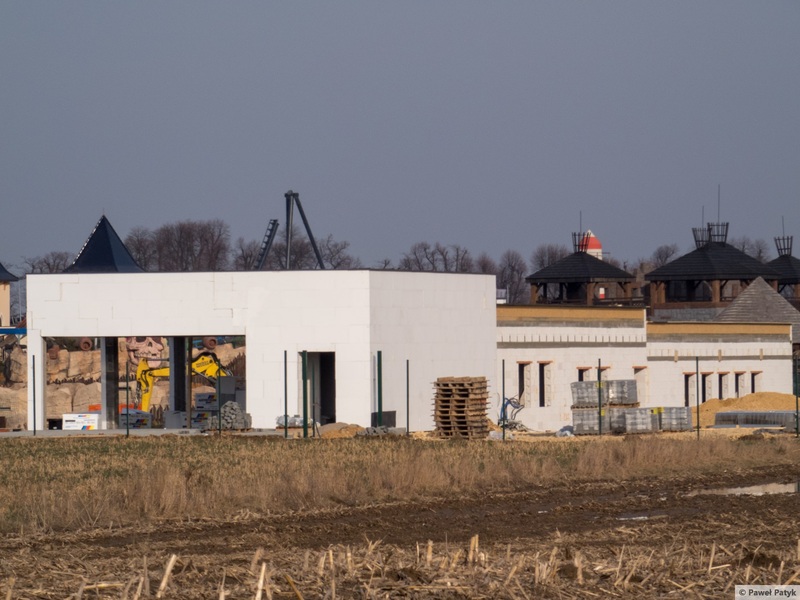 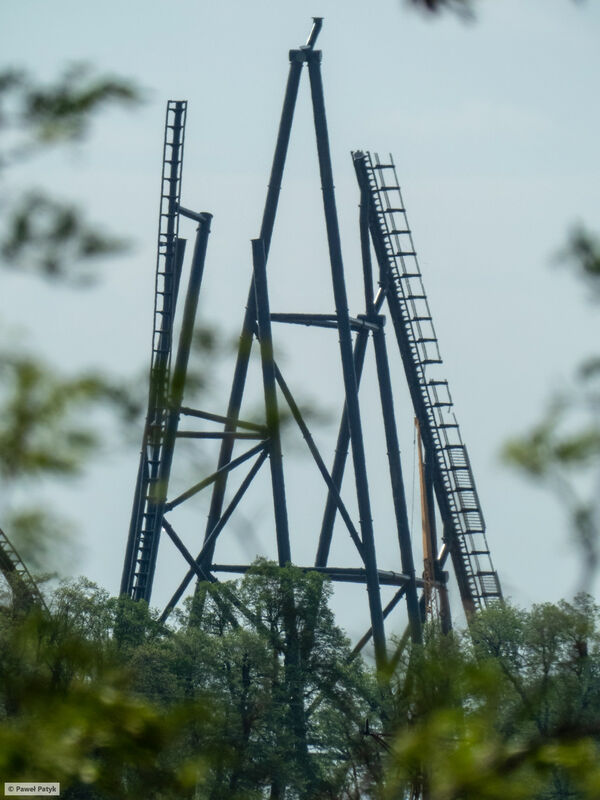 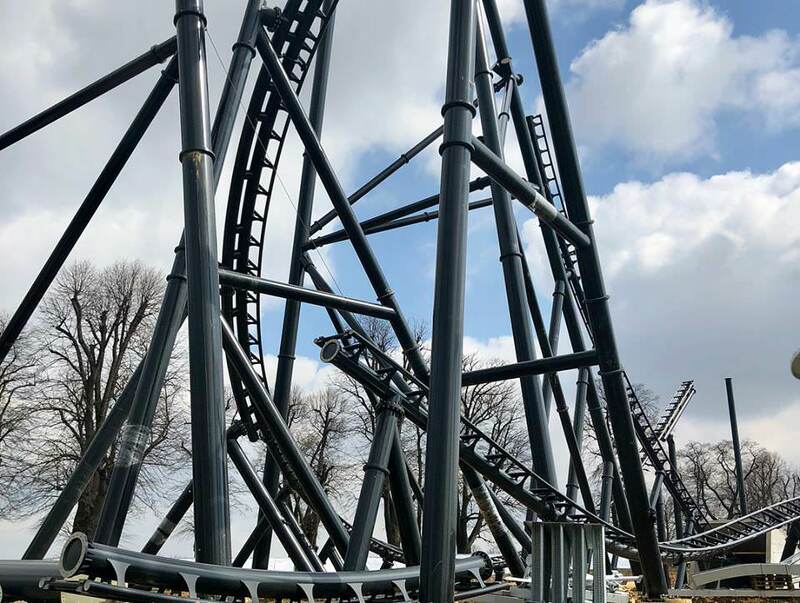 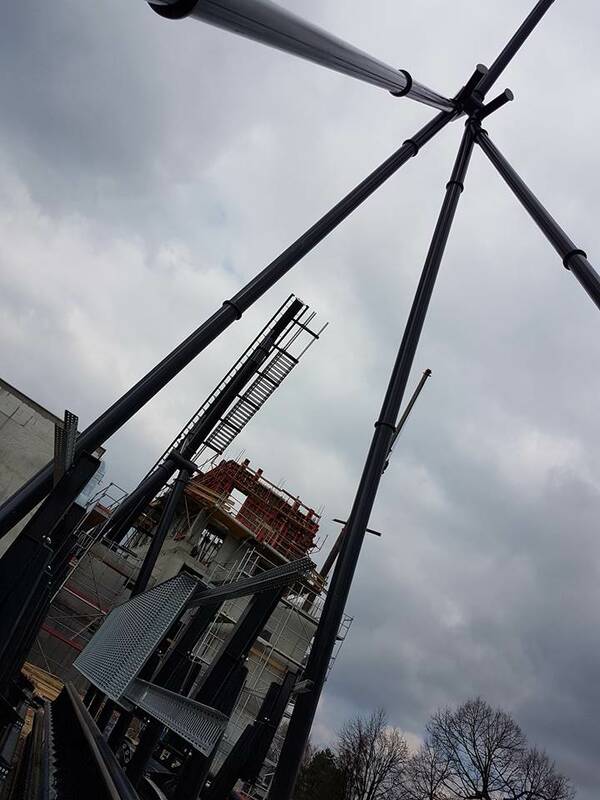 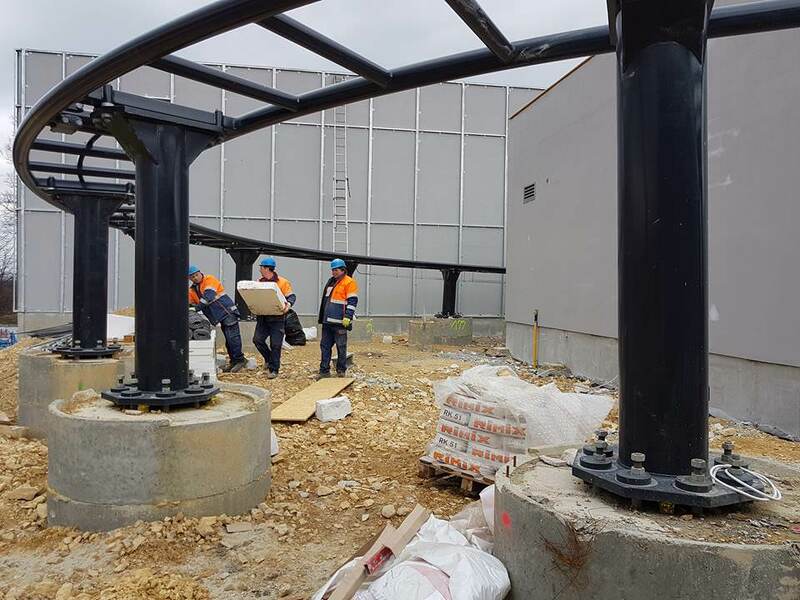 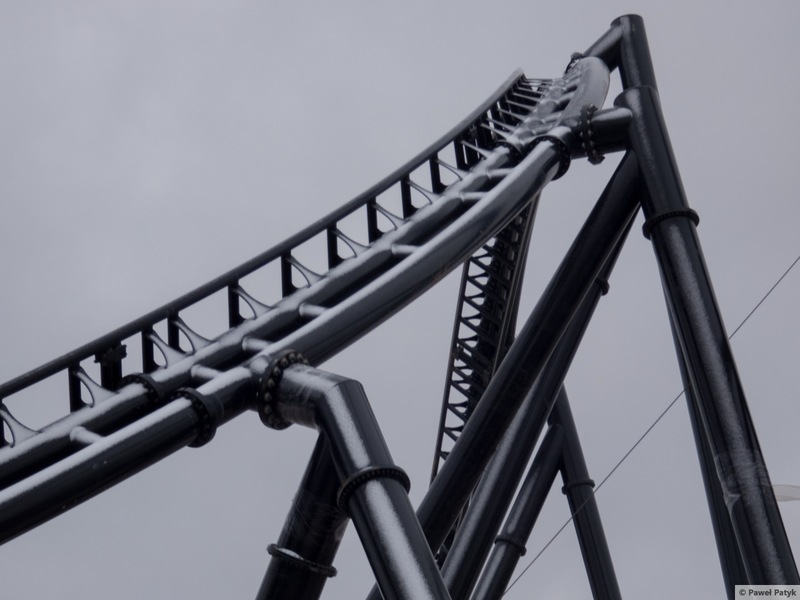 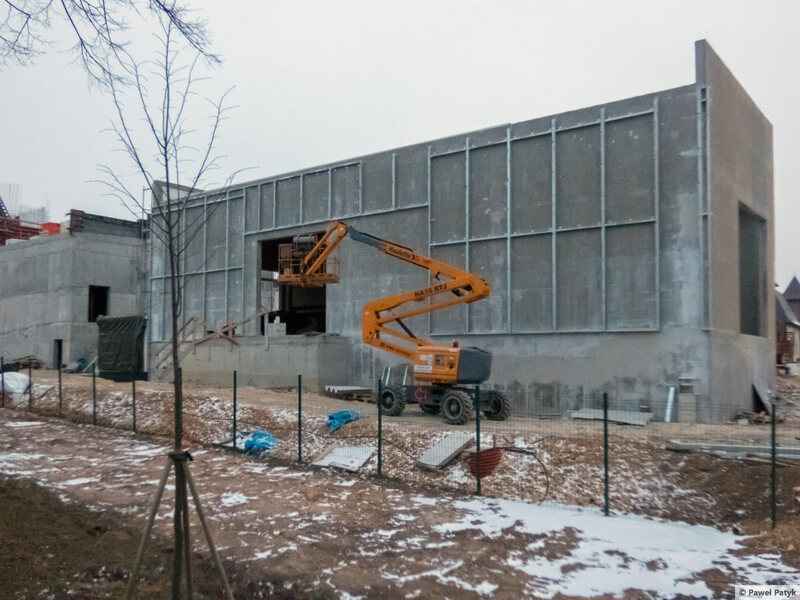 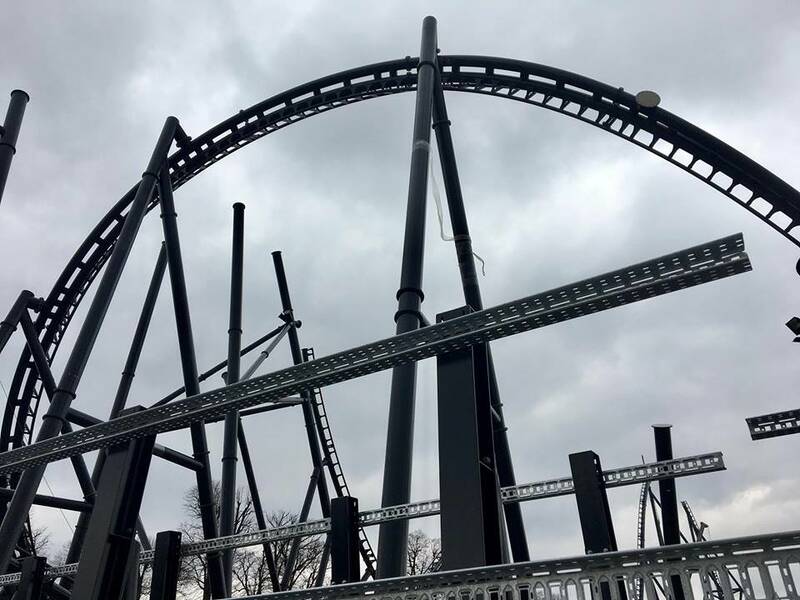 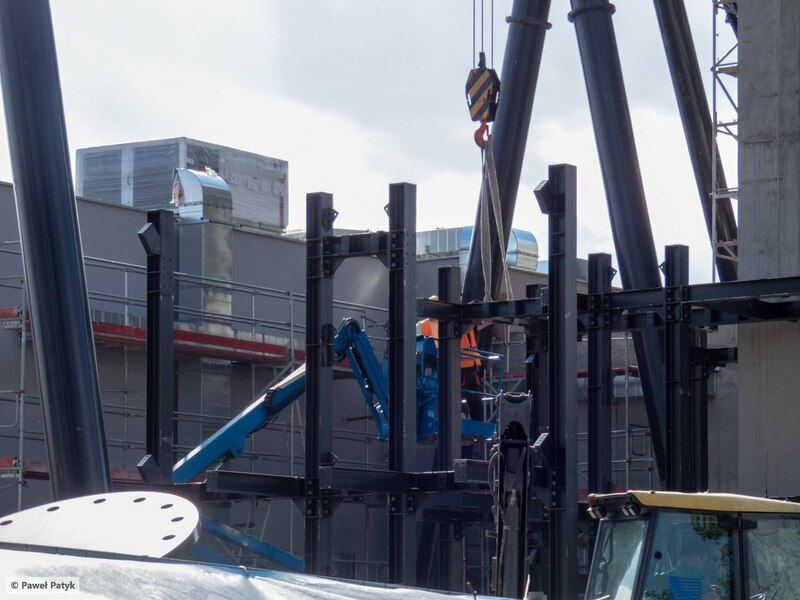 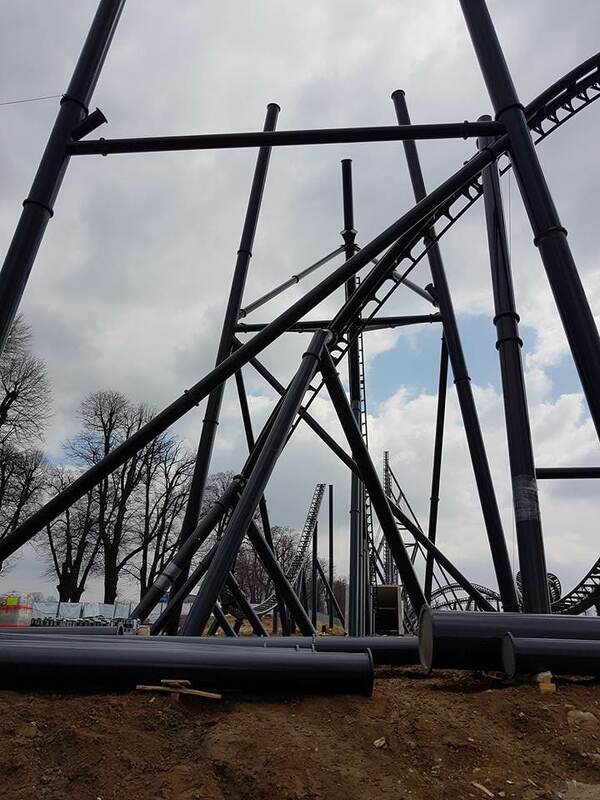 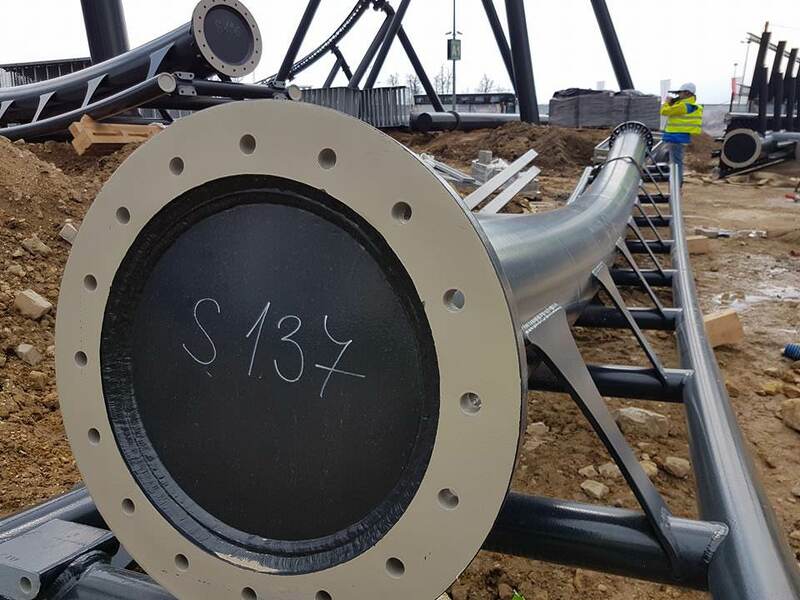 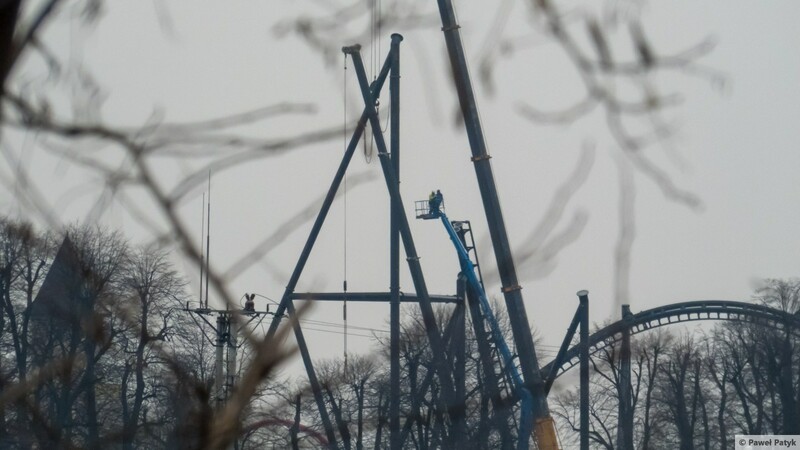 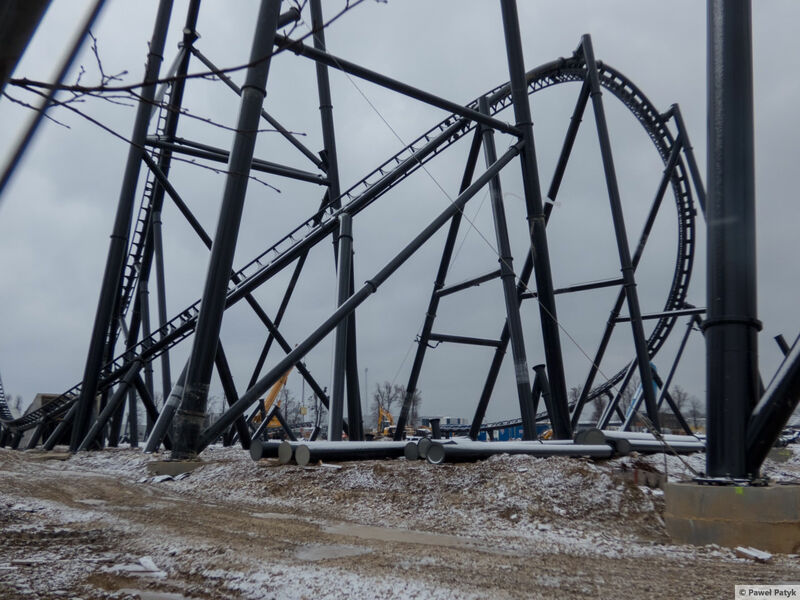 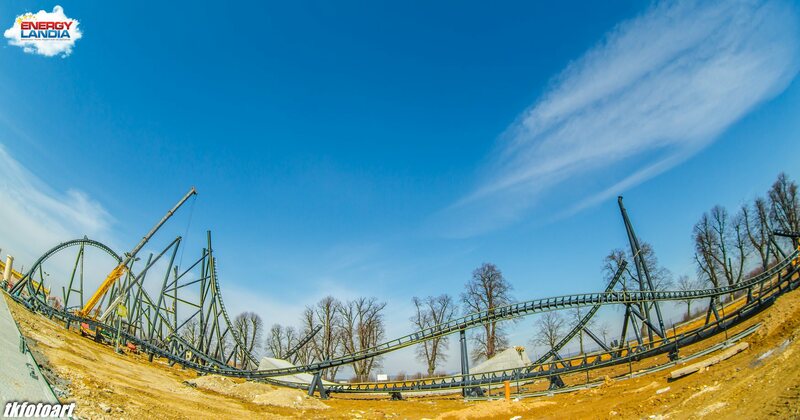 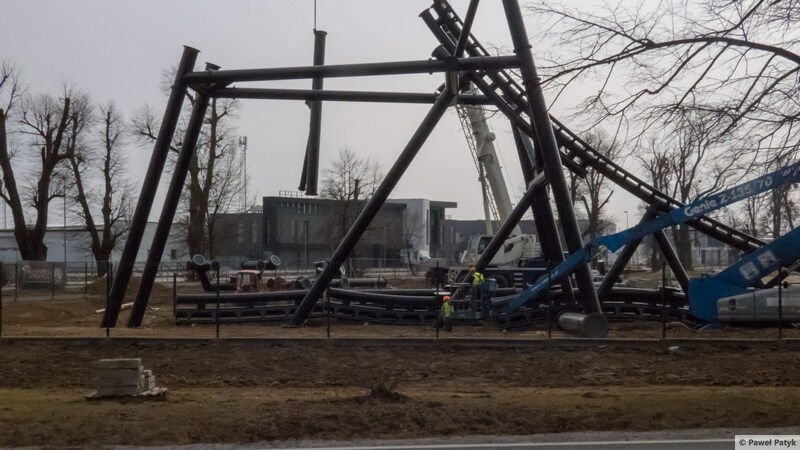 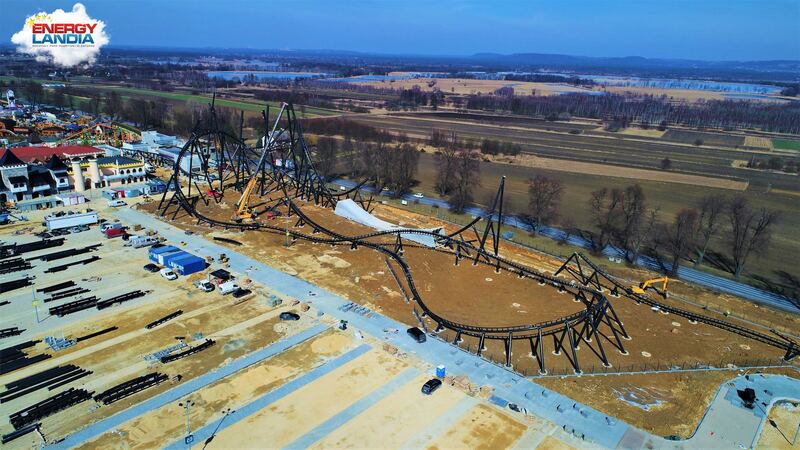 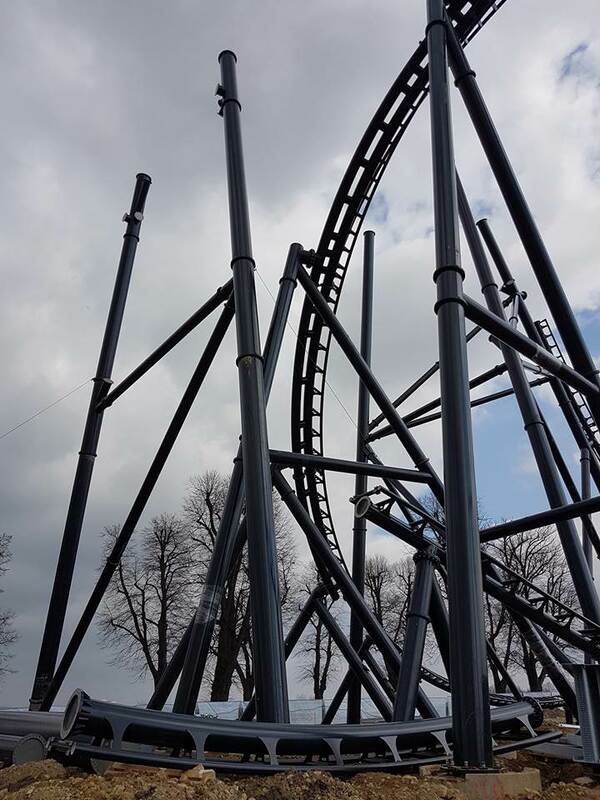 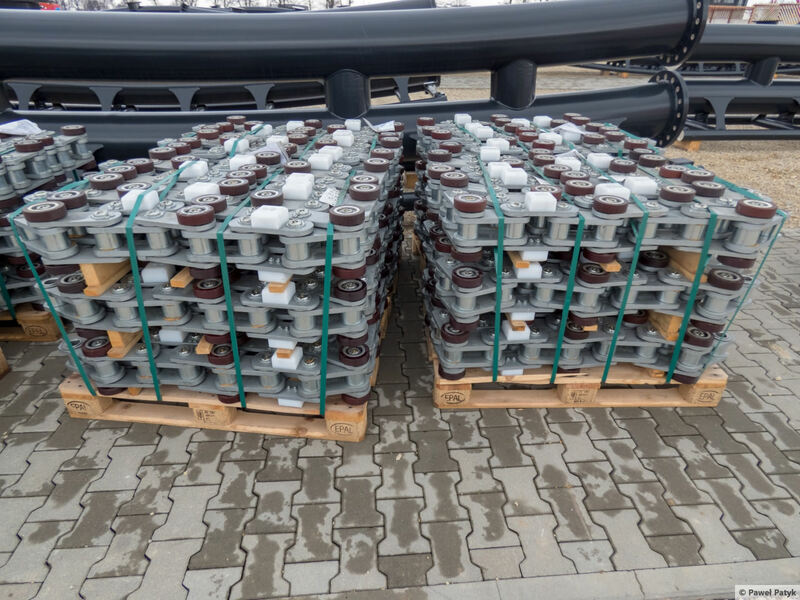 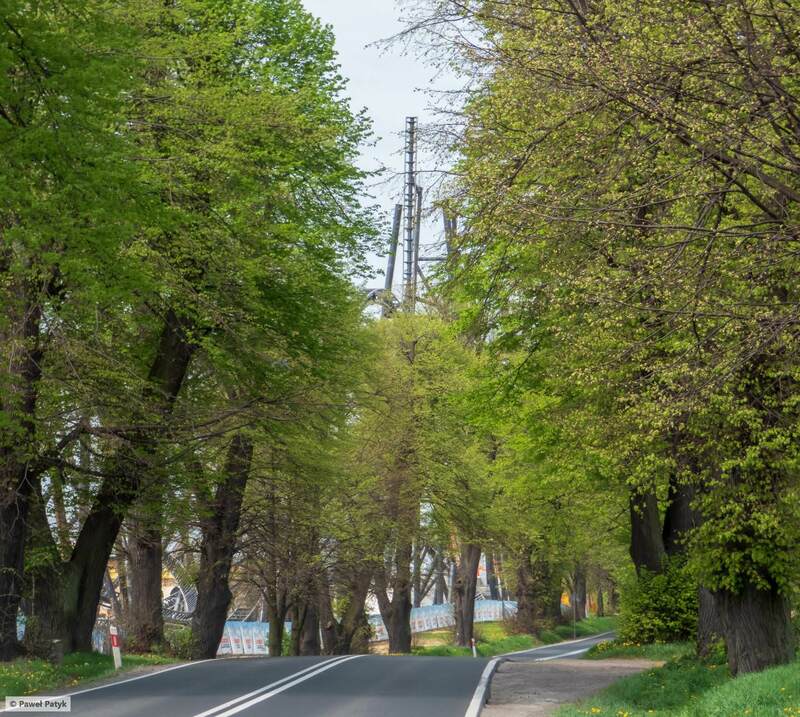 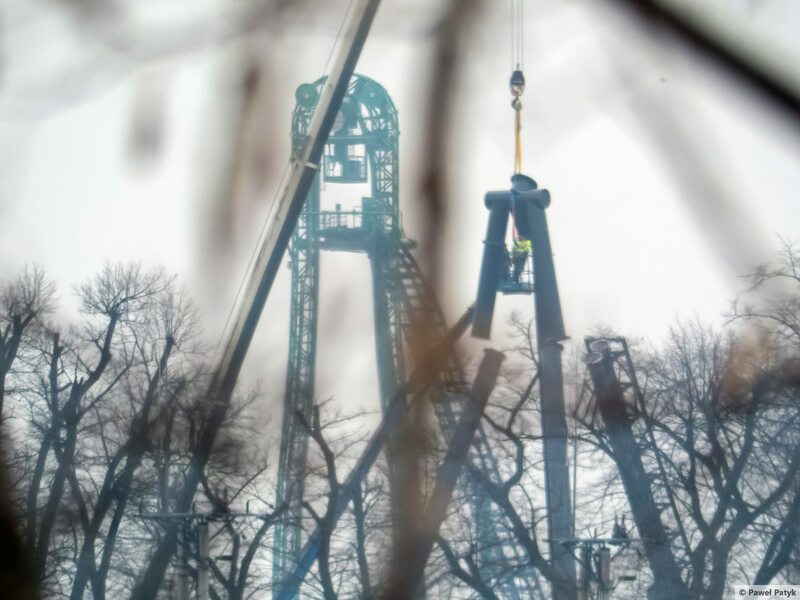 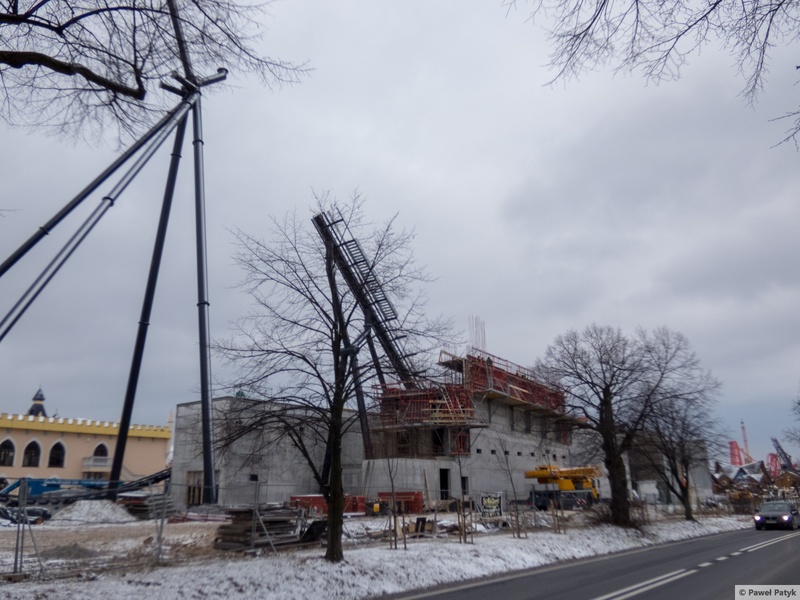 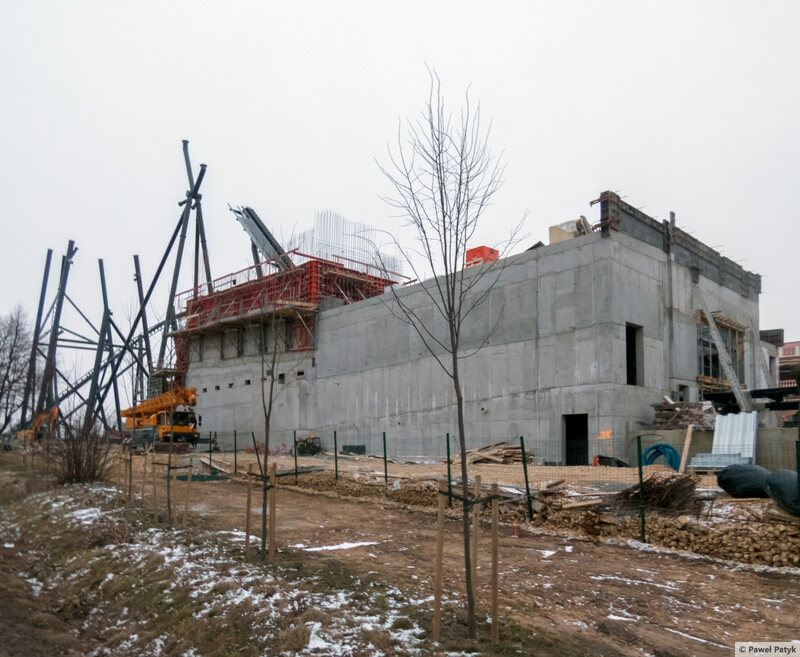 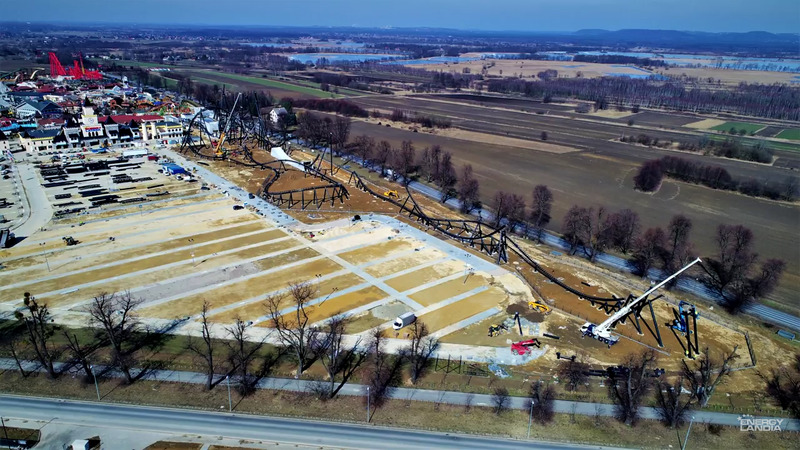 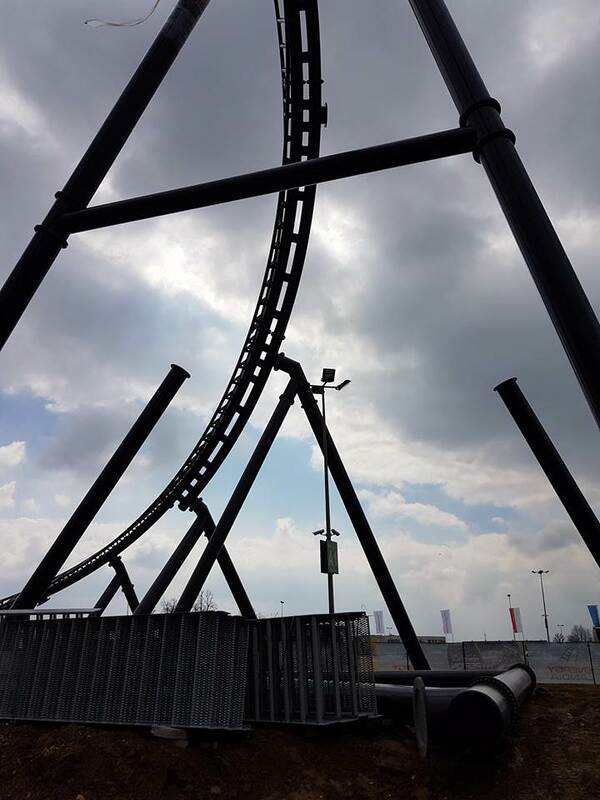 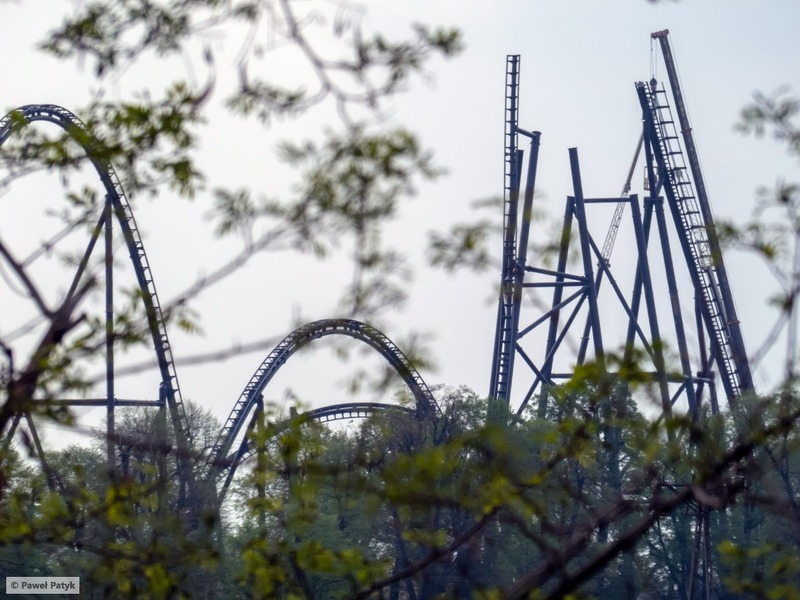 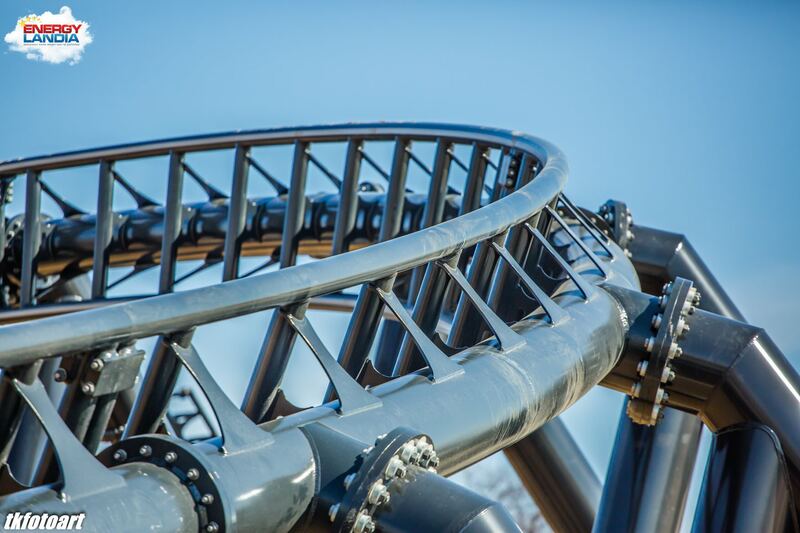 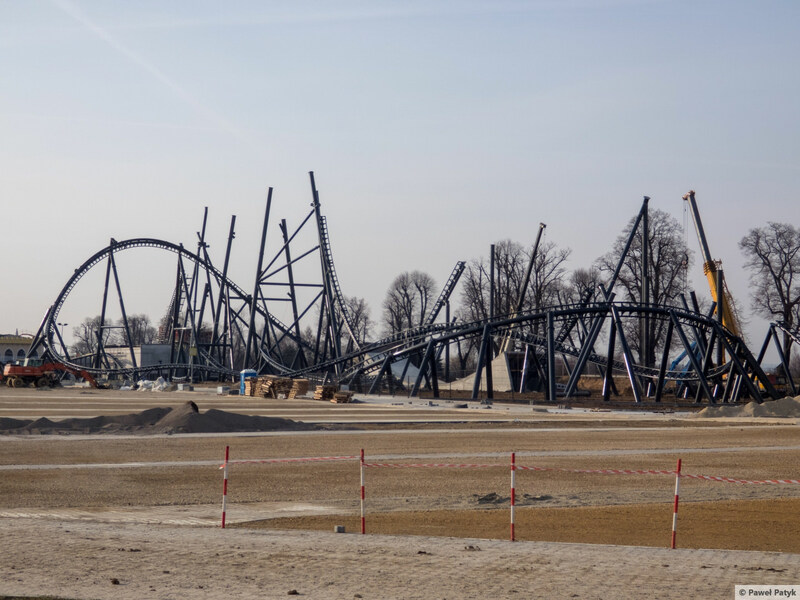 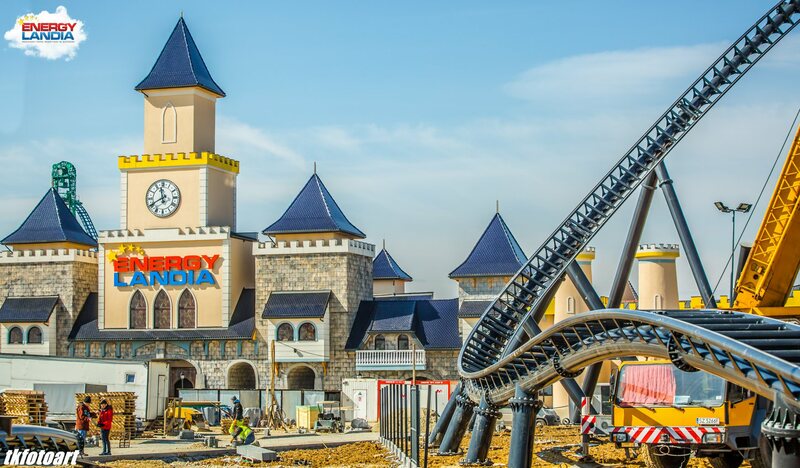 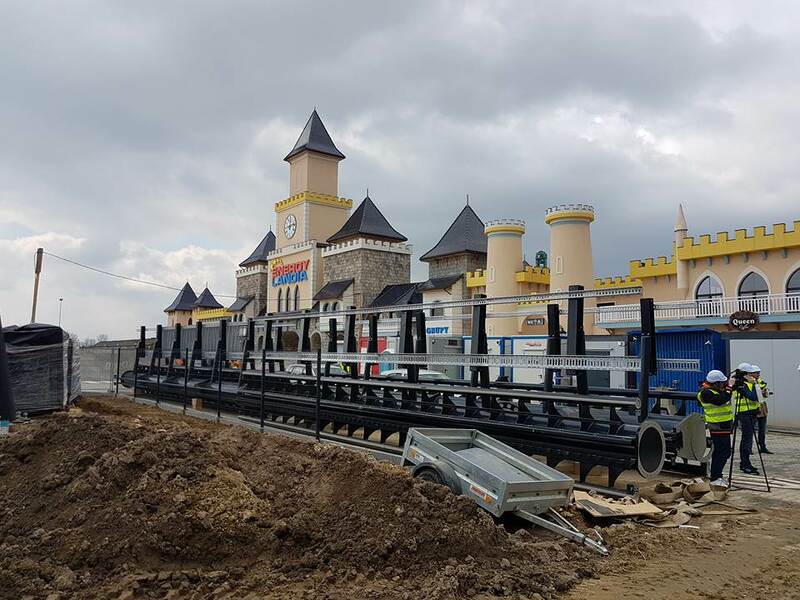 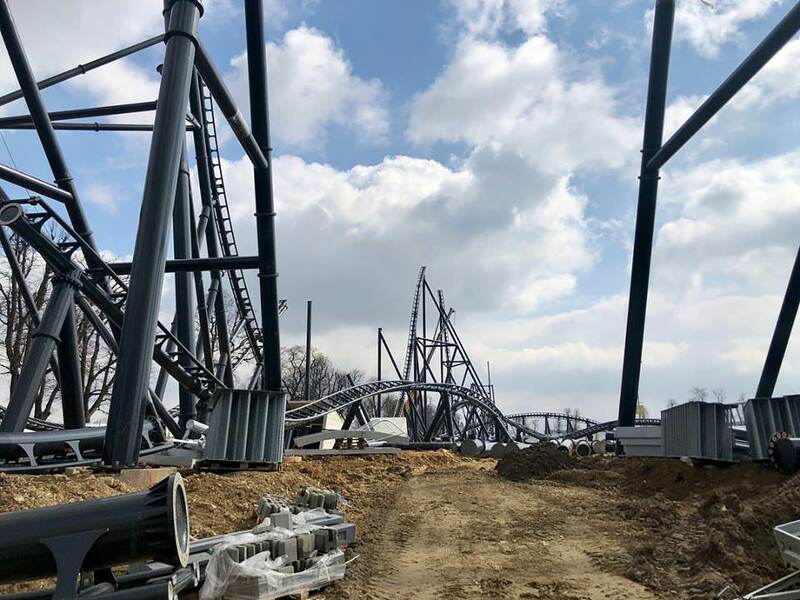 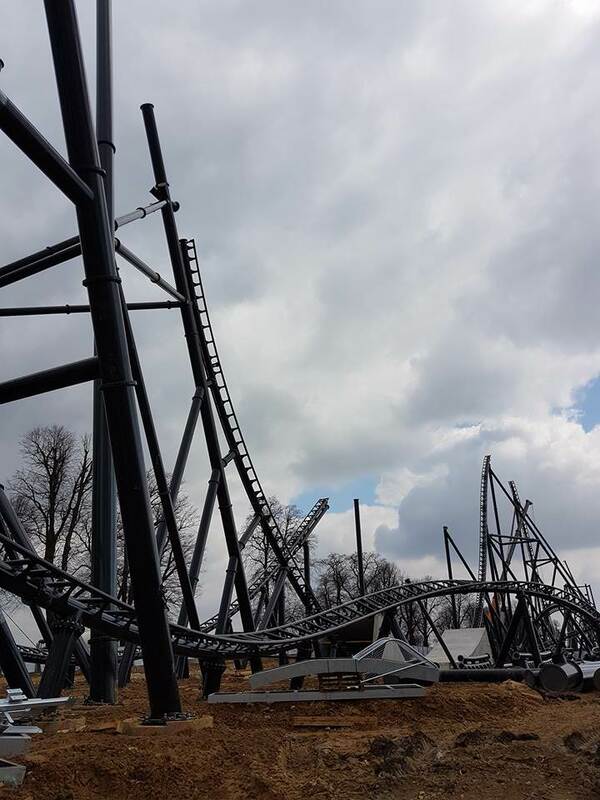 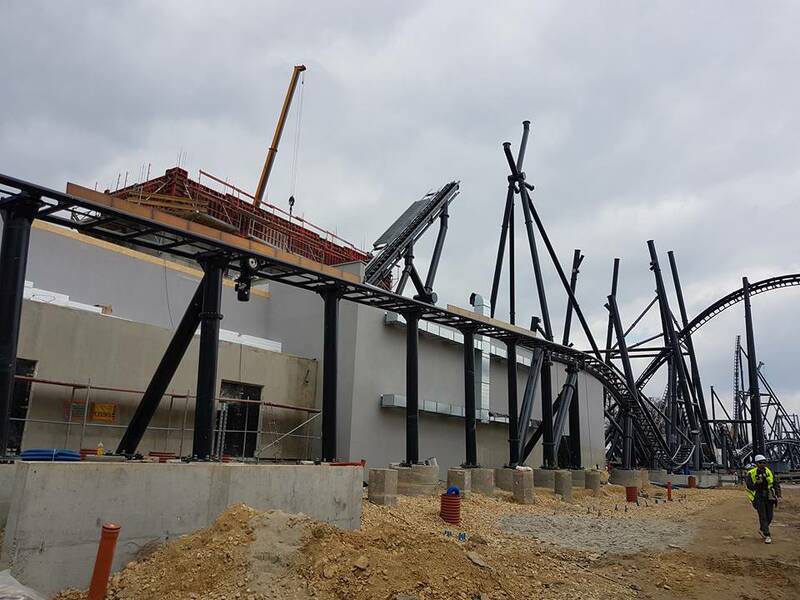 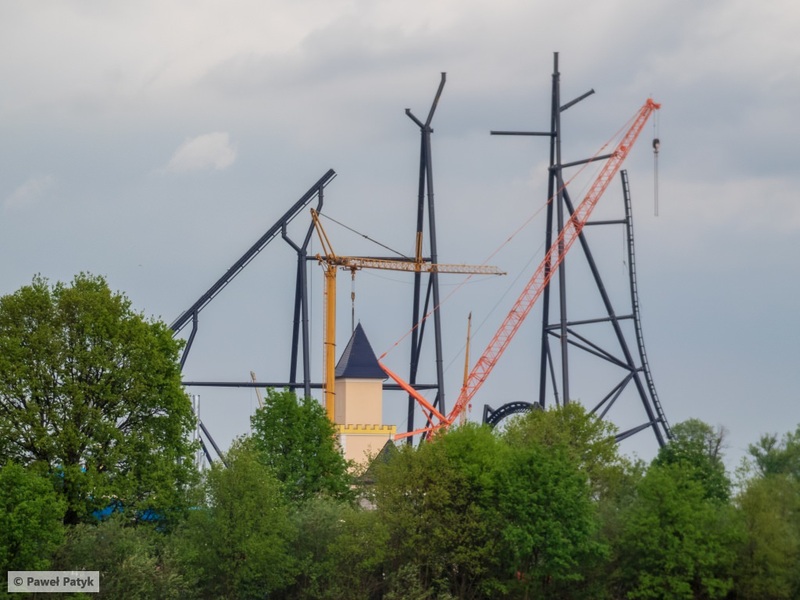 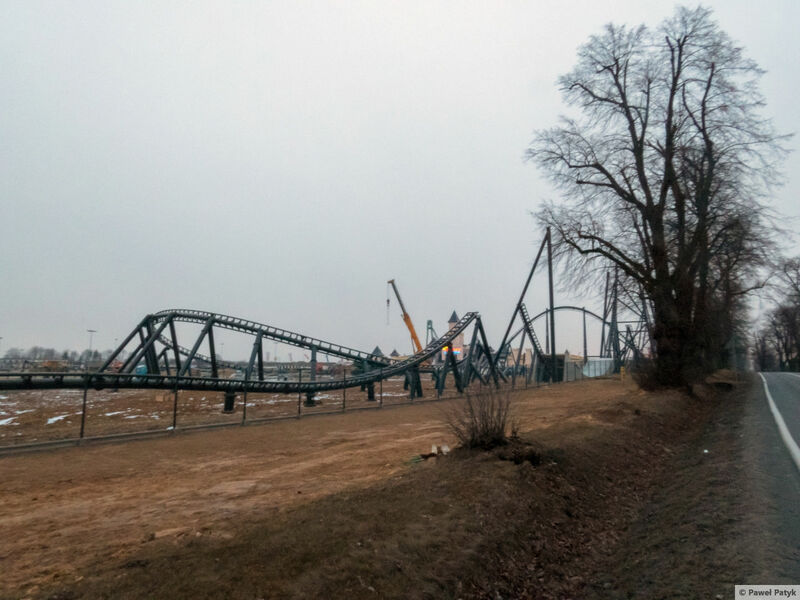 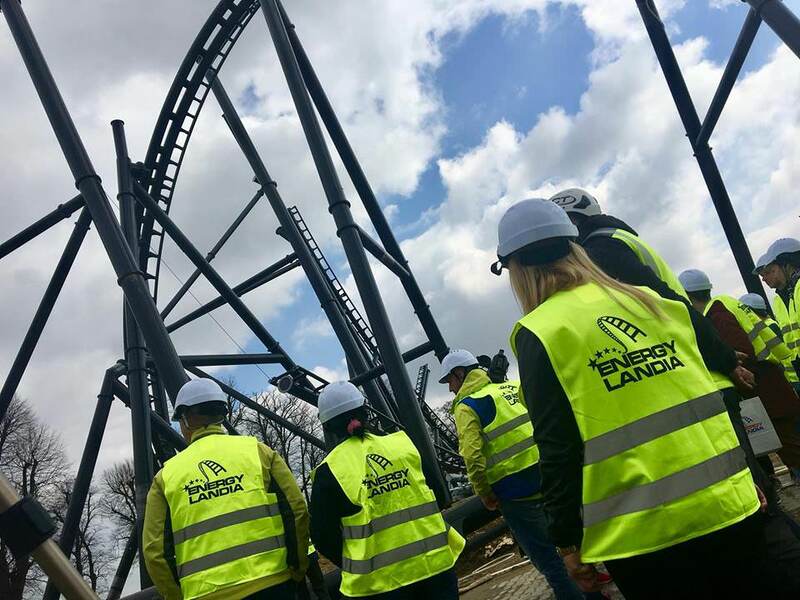 Intamin wanted to test it in April (because of the various weather conditions), but that is not possible. 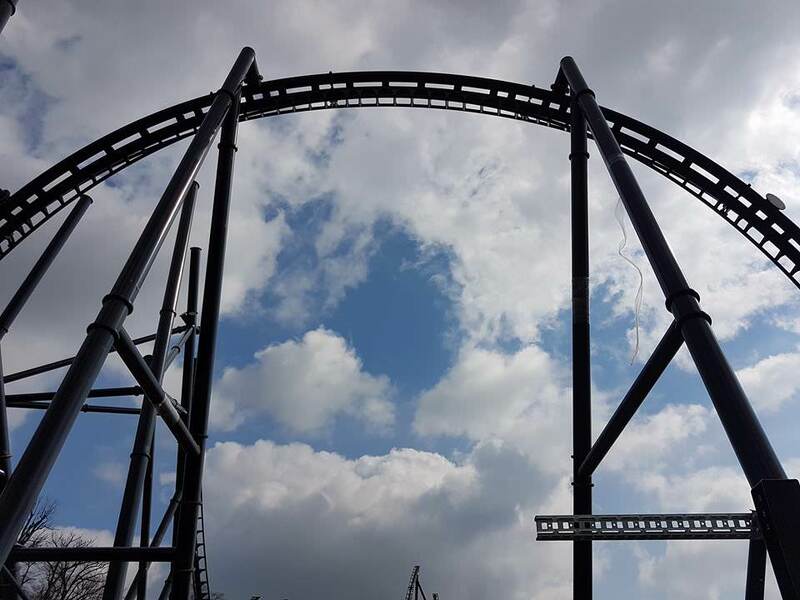 How much of the ride is done? 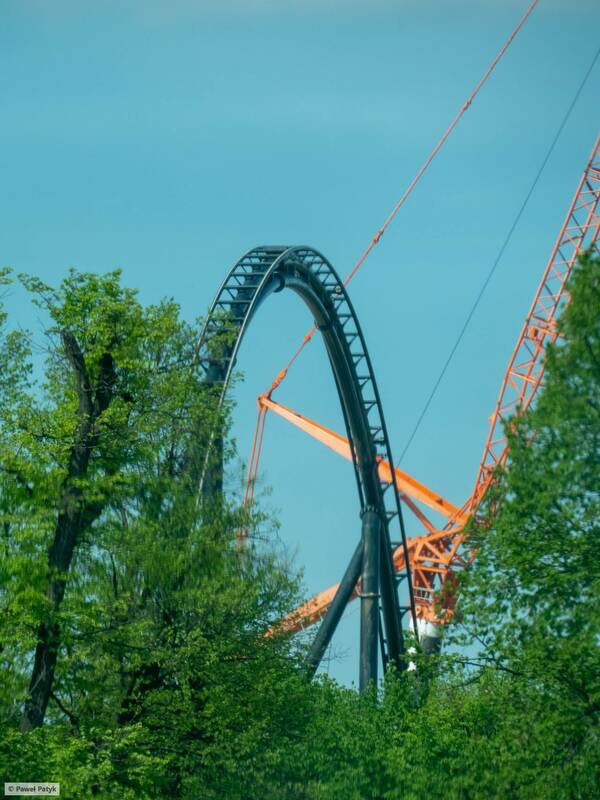 Interesting how this ride and that hideous orange and green Chinese thing have the V supports on the lifthills. 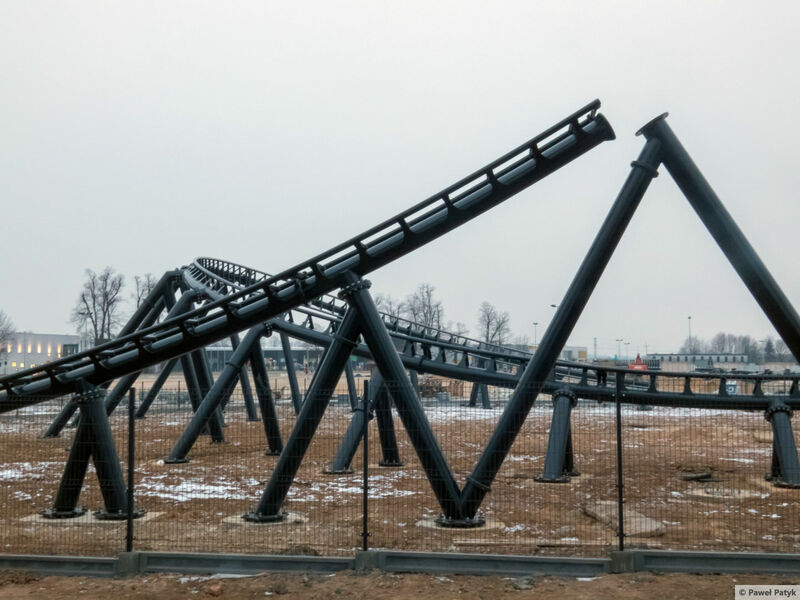 Pullover looks like it'll be pretty tight. 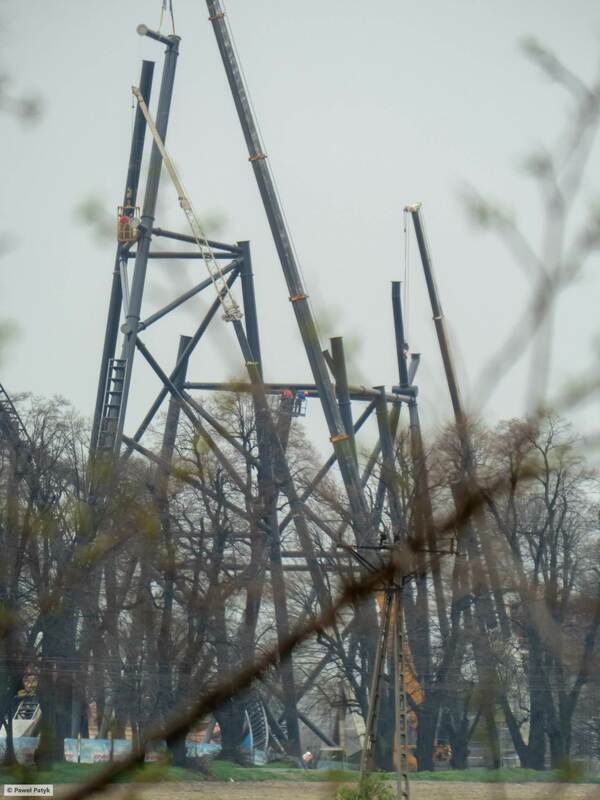 What af rigging monster this thing is.